Fixed bug where some mobs using colorization caused other objects spawned in the same frame to break. General News / Legends of Equestria Panel at Nightmare Nights Dallas! 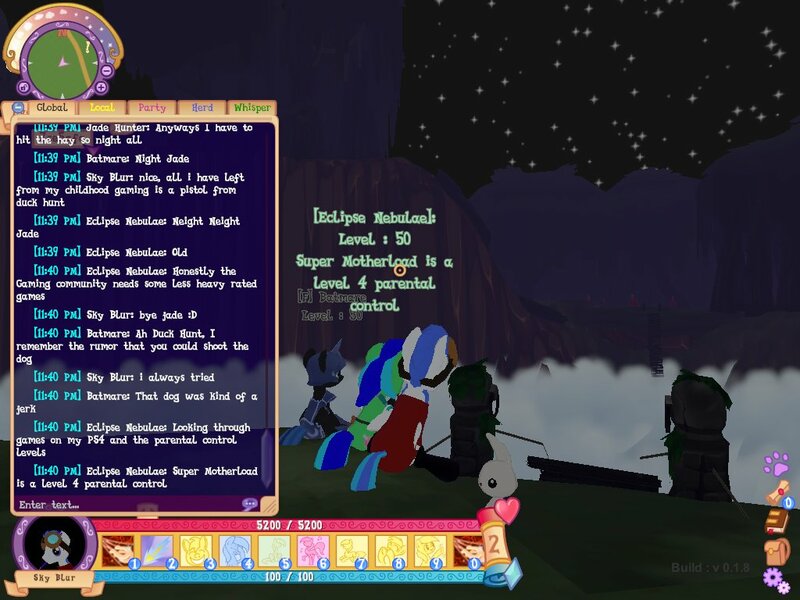 We're super hard at work to bring you Legends of Equestria's next update, along with all of the bug fixes we can cram in there! We've got some other news to announce before that's ready, though! 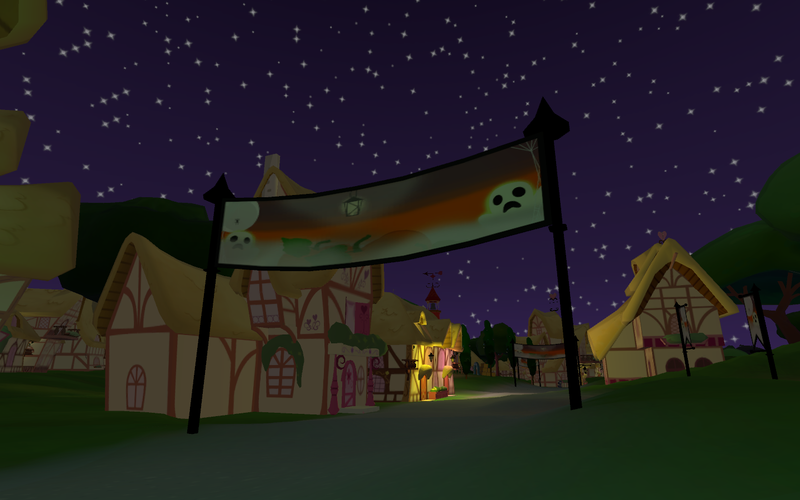 Members of the LoE team will be attending Nightmare Nights Dallas, Friday 27th - Sunday 29th October! 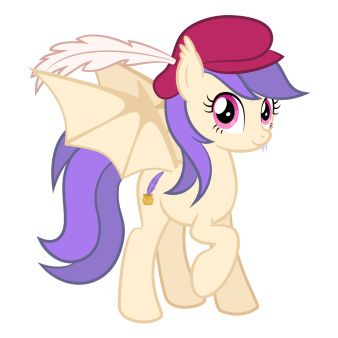 You might see us strolling around the convention floor (just look for our snazzy bat-Ellowee badges), and we're also hosting a Legends of Equestria panel on Sunday 29th, at 3.30pm in the Addison LH room! 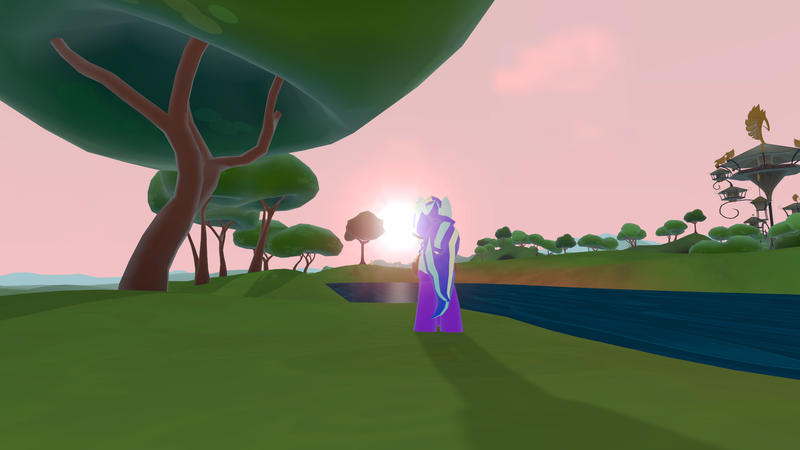 We'll be discussing the work that went into achieving our Open Access Release, covering some more details of our development process, and answering some of your questions! 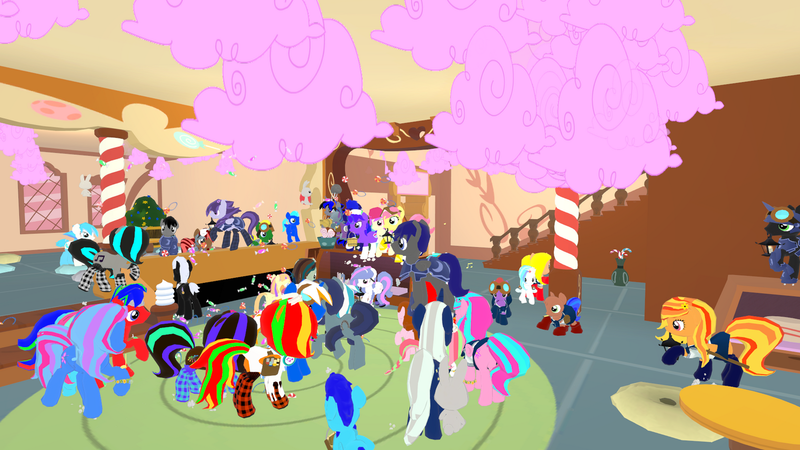 For more info on Nightmare Nights Dallas, check out their website! If you're attending the convention, we'd love to see you there; if not, there may be special activities going on in-game during the panel, so why not play along at home? Everything you need to enjoy LoE's Open Access Release is on our downloads page! General News / Media Roundup (5th October 2017): Your Best Videos, Screenshots, and Fanart! Hope you're all still enjoying our Open Access Release! 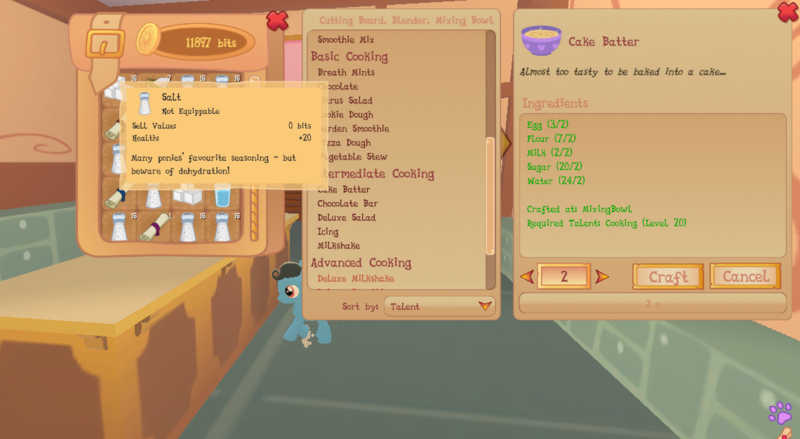 We're still busy at work bringing you more of Equestria to explore and enjoy, but you've all been busy yourselves too! 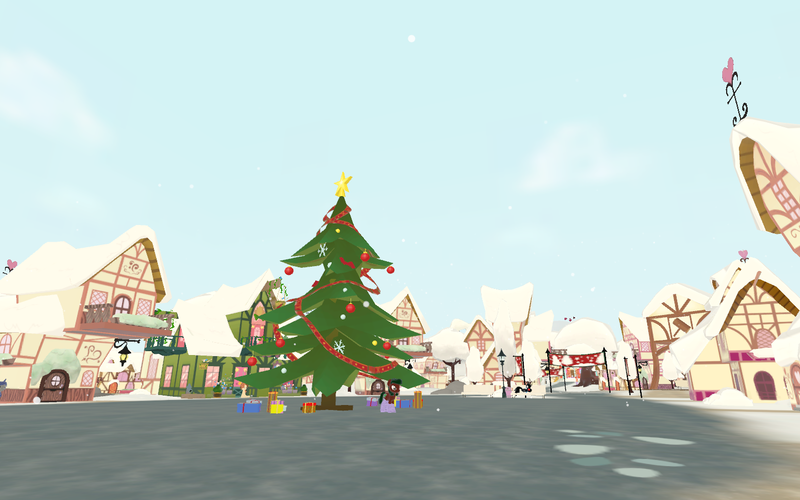 Here are a few of our favourite things that you've sent our way about LoE over the past couple of weeks! 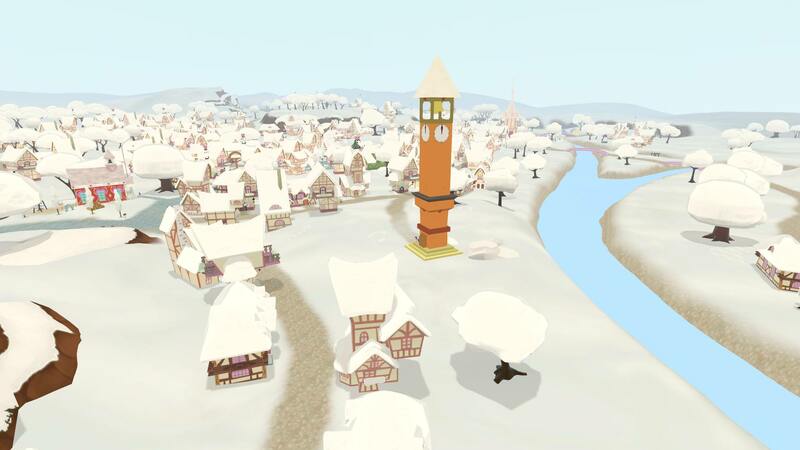 Now for some of our favourite in-game screenshots that you've shared with us! 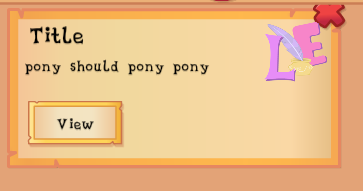 This is one of the things we love to see the most from you guys, so we can see what parts of Equestria you're enjoying the most! And last, but certainly not least, Beck the Wreck did a rather jolly portrait of yours truly! That's all for now! Remember, if you've got anything you want the team to see, you can share it with us through our social media accounts, or our Discord server! We've still got a lot more work to do before LoE is anywhere near done, and we hope you'll all stick around to see what we've got in the works! Remember, you can help us improve the game: many of our teams are looking for more people to help us, and you can report any bugs you find in-game using the system explained here! 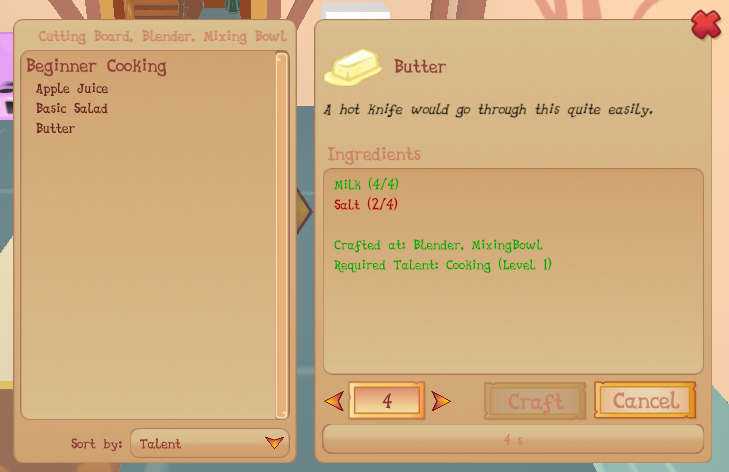 New skills are not added to the hotbar. 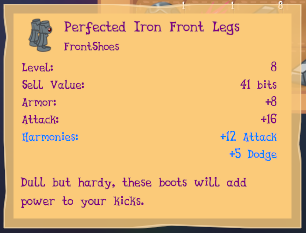 You have to manually add them to the hotbar from the book yourself. Basic starting abilities (Ground Pound, Bubble Barrage, Teleport) are not currently listed in the journal, so removing them from the hotbar makes them unusable. Deleting the hotbar.json file from your LoE appdata folder will reset the hotbar to default. 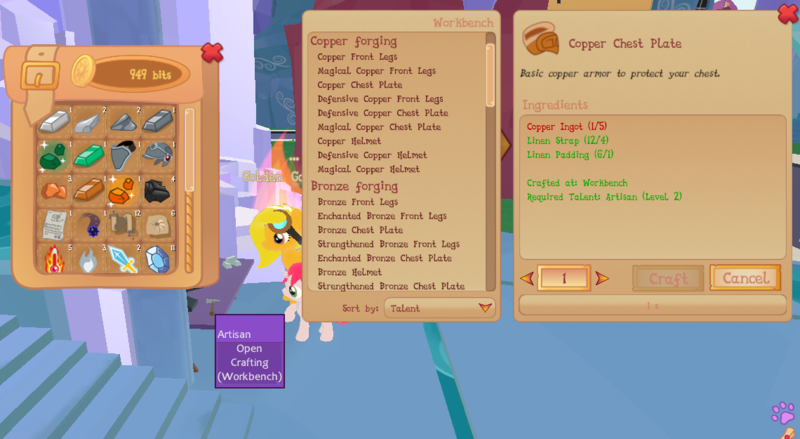 General News / Legends of Equestria Updated OAR Build is Now Live! 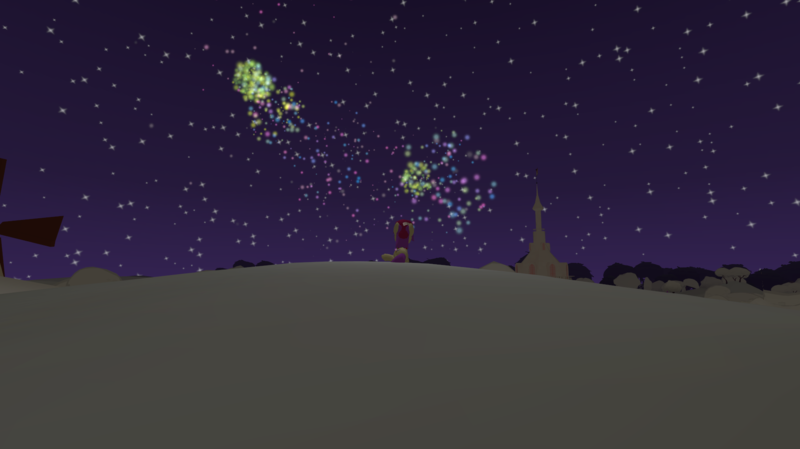 We hope youv'e all been having fun in Equestria together! 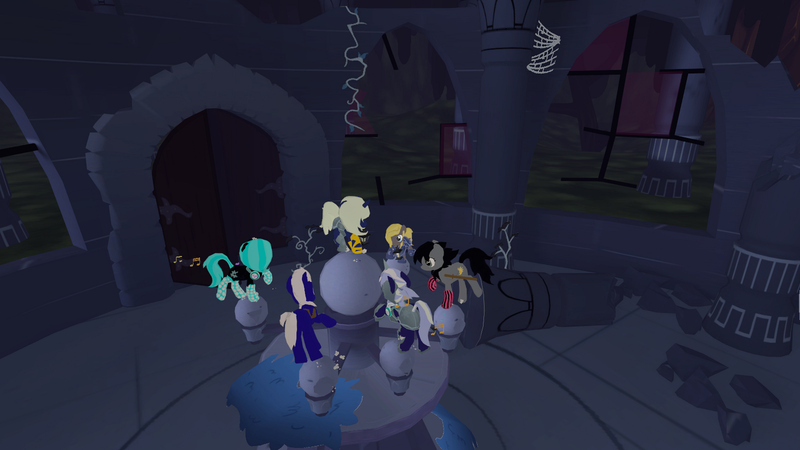 You might have seen some of us running around, adventuring alongside the rest of you - but that doesn't mean we haven't been hard at work to keep improving Equestria! 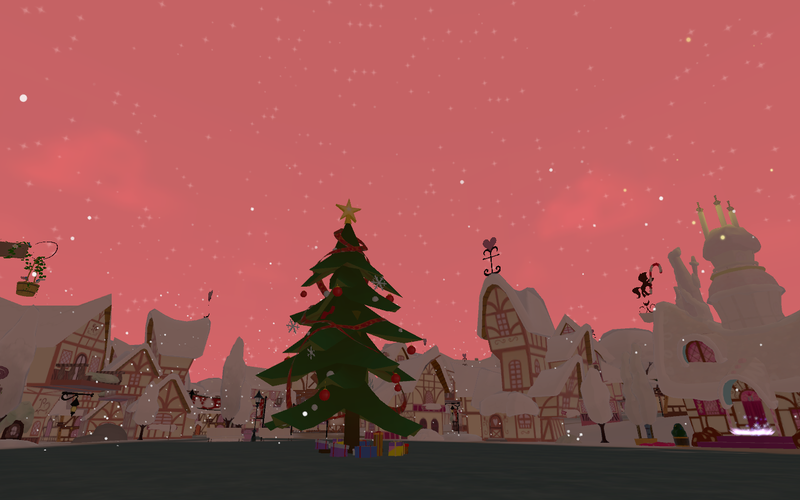 And to prove that, we've just released our latest build of LoE! If you're using the Windows launcher, your game should be automatically updated when you next launch it. If you're using one of our direct downloads, however, you'll need to delete that version, and then grab this version from our downloads page! While the original OAR build will still work, we strongly recommend making sure you're always playing the latest version of the game, so you can benefit from our bug fixes and content updates! There's a lot of smaller changes included in this update, alongside a couple of bigger ones; one of the most noticeable improvements is to how your hotbar and journal work together. You can now properly remove and re-organise the abilities on your hotbar, and add attacks and emotes straight from their respective journal pages, as well as items from your inventory, without issue (hopefully)! The full changelog from the OAR release build to this latest one is available here! 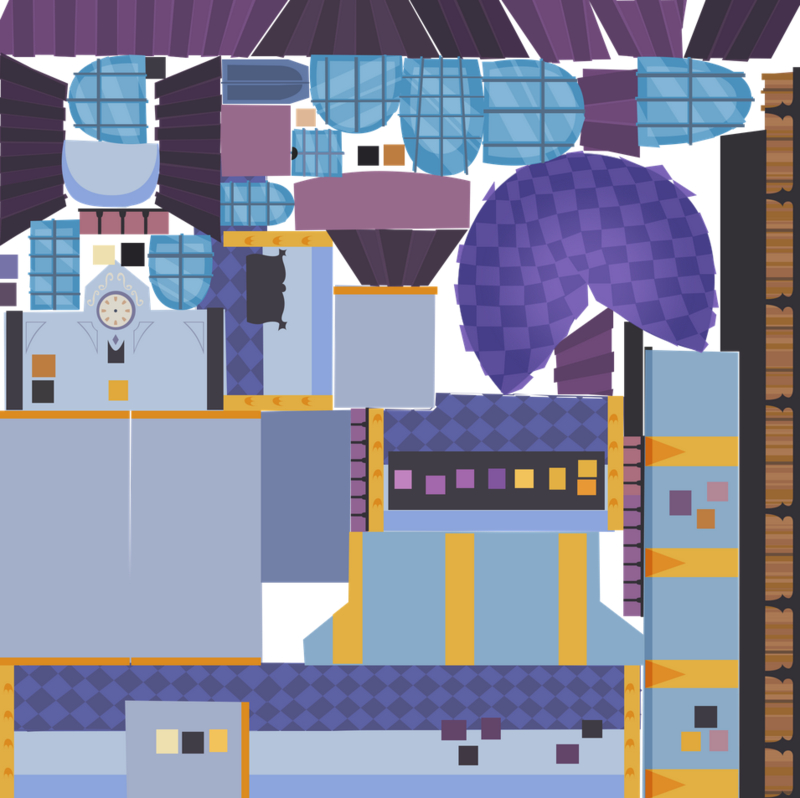 Of course, this doesn't mean we're finished; we've still got an awful lot more stuff planned, and plenty more to fix! Remember, if you have any bugs, glitches, or suggestions to report, you should do so using the system explained here; that'll ensure the right people see your report, and get to work on it! Now it's back to work for us; see you in Equestria! General News / Media Roundup: News, Videos, Screenshots, and More! 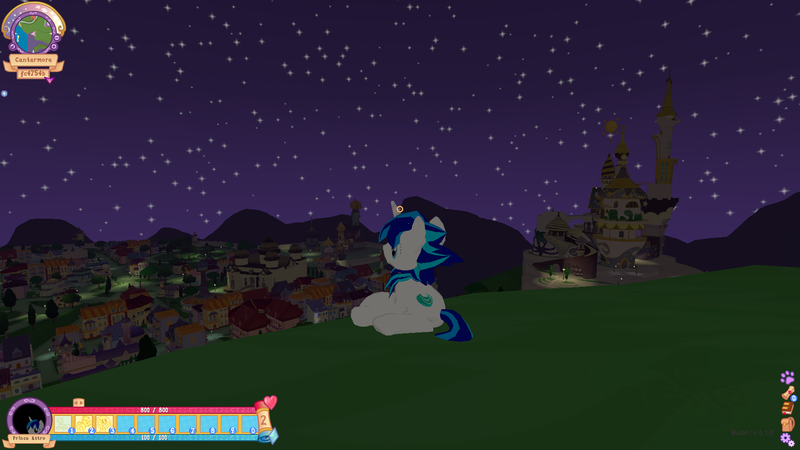 We hope you've all had fun exploring Equestria together over the last week! The response to the start of our Open Access Release has been amazing, and everypony on the team is super humbled by your enthusiasm for the work we've done. We're nowhere near done yet, though! We've been hard at work fixing as many of the bugs you've reported as we can, and we've already pushed out an uncountable number of hotfixes to the server. We're also currently putting together a new build of the game, which should be available in the next couple of days, to bring you even more fixes, and maybe a few other bits and pieces too; we'll make sure it includes a changelog, so you know just what we're adding for you to enjoy! 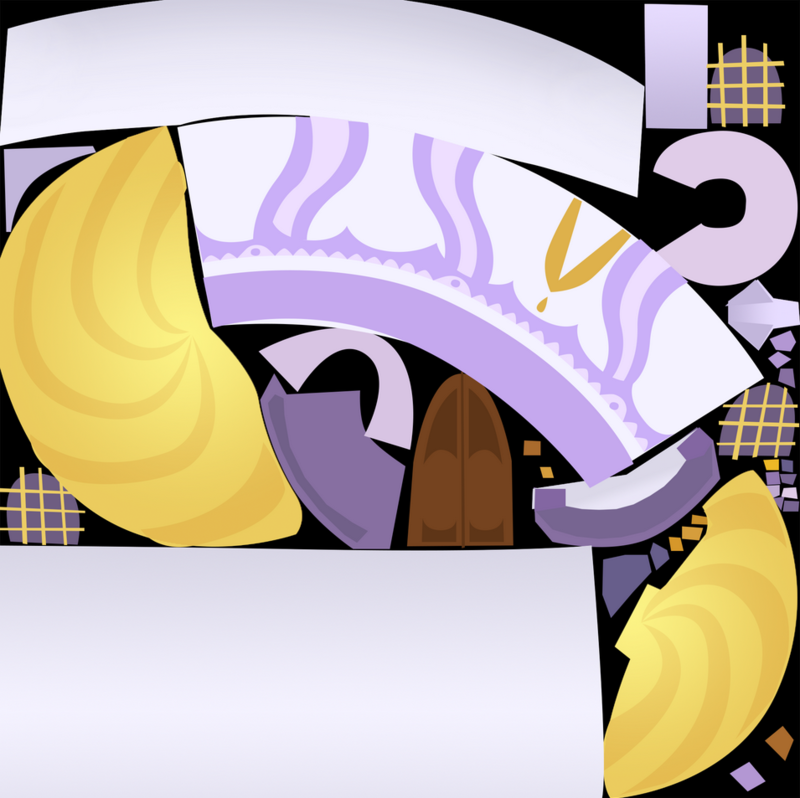 And of course, we're still grinding away at our larger content plans, readying all-new material for everypony to enjoy! 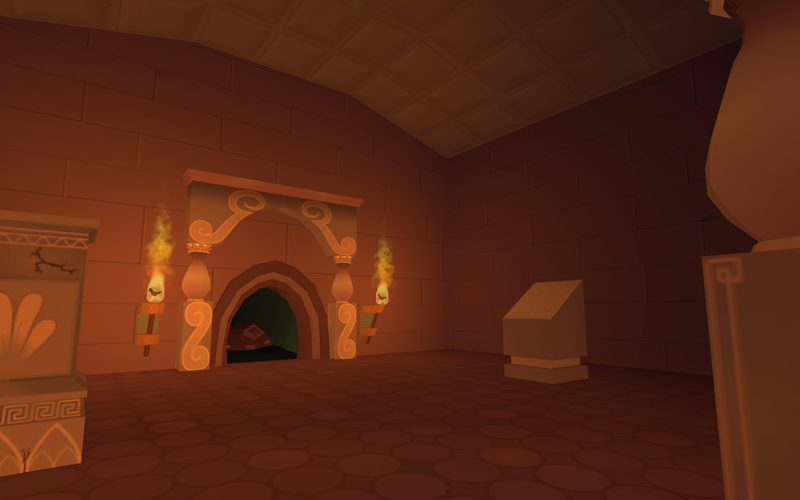 More quests, more areas, more dungeons, more features - all of them are being developed as we speak, and we'll be bringing them to you as soon as we can! In the meantime though, we wanted to highlight a few things we've seen from you, and the gaming community as a whole, that have really made the team smile! First off, a few impressions and gameplay videos have been popping up that have helped to provide us with a good idea of what people are thinking of the game so far. One of our favourites was from TheHiveLeader, who highlighted the game alongside his (completely adorable-sounding) young daughter! 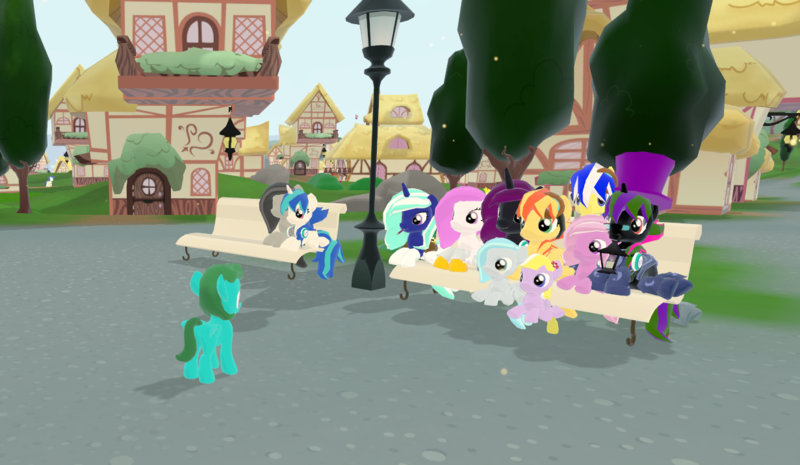 And LittleshyFiM seemed to be having a lot of fun with a lot of friends during their livestream a couple of days ago! LoE's also gotten a bit of coverage from news websites. 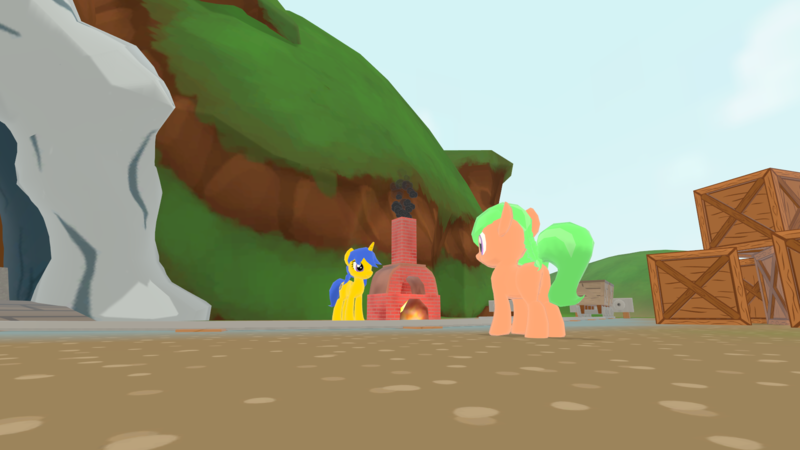 Our friends at Equestria Daily were kind enough to cover our servers going live and the release of our animated story trailer! 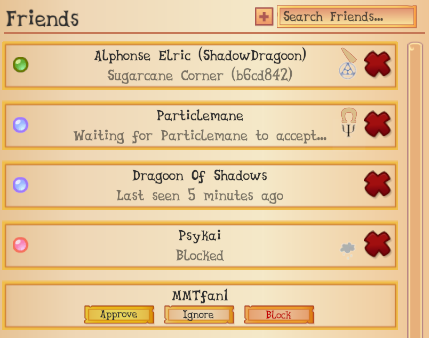 We were also featured on the MMO news websites MMORPG.com and Massively Overpowered, thanks to TheHiveLeader's video! And French gaming website Gamewave also covered the launch of our OAR! One of the things we were most eager to see was screenshots of the game from the people enjoying it - and you didn't disappoint! We'd like to share a few of our favourites with you here! We were also blown away with some fanart we've received; for example, we were super impressed with this fanart of Pyrite from LunaEclipsa! 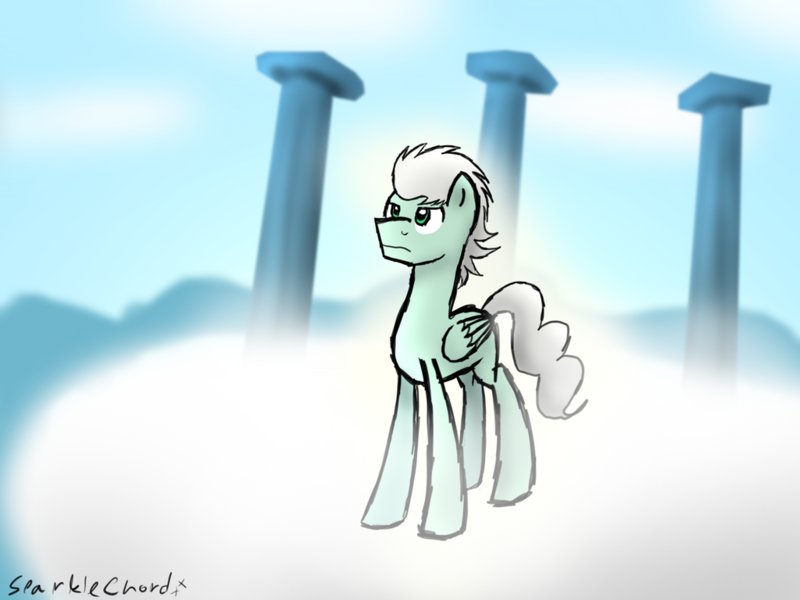 And this drawing from @MLP_SherbetPosy is just too adorable for words to describe! That's all for now! 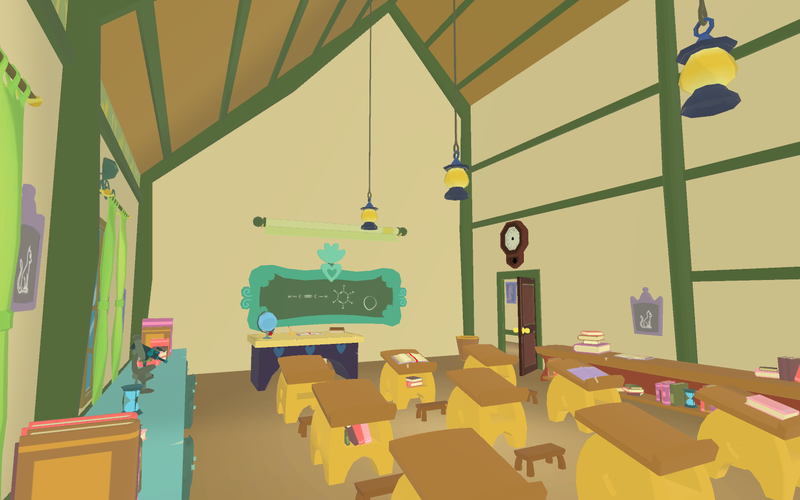 We've still got a lot more work to do before LoE is anywhere near done, and we hope you'll all stick around to see what we've got in the works! Remember, you can help us improve the game: many of our teams are looking for more people to help us, and you can report any bugs you find in-game using the system explained here! General News / Hope you're having fun! 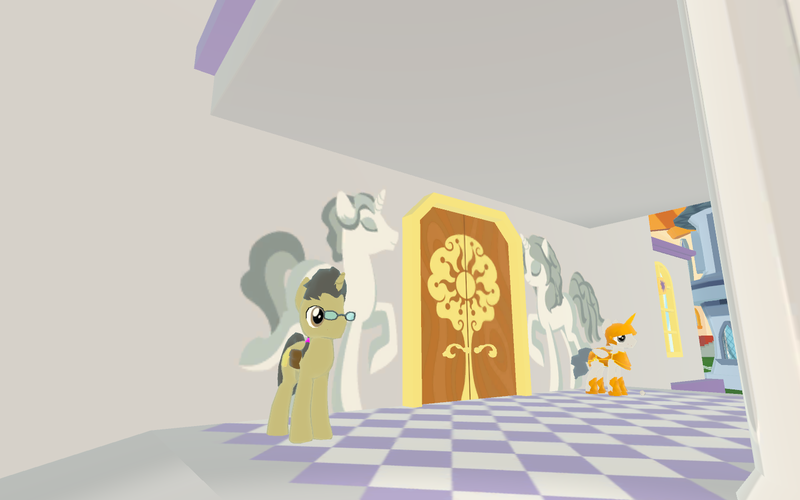 We hope you're all enjoying the first few days of Legends of Equestria's Open Access Release! 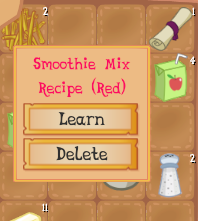 If you haven't tried it already, you can grab the game from our downloads page! 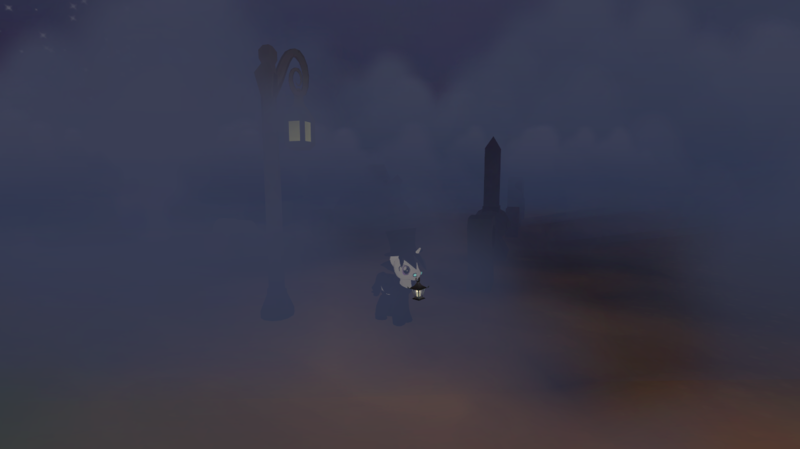 Remember, this is still a work-in-progress project; this is far from the 'final' version of LoE, and we've got a lot more work to do before we reach a point like that, but we hope you're having fun with what we've made so far! 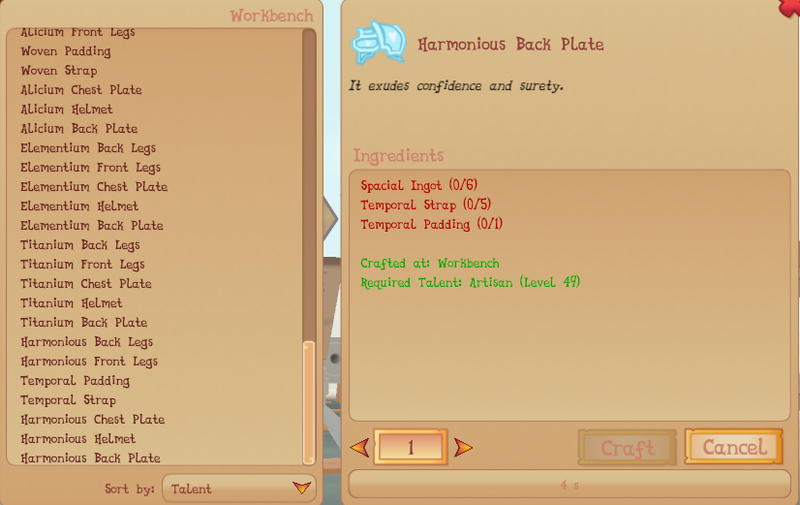 We're already working on a lot more stuff to add to the game, but right now our main focus is bug-fixing. You can help us with that: if you run into any glitches or issues, we'd appreciate you reporting them using the system explained here, so that we can make sure the right people on the team know what needs to be addressed! If you have any screenshots of the game you want to show the team, feel free to share them here; we might even share our favourites with you all! Thanks for your support so far, everypony! General News / Legends of Equestria's Open Access Release is Live! New Animated Story Trailer! We're super happy, excited, and proud to say that the servers are now open for Legends of Equestria's Open Access Release! 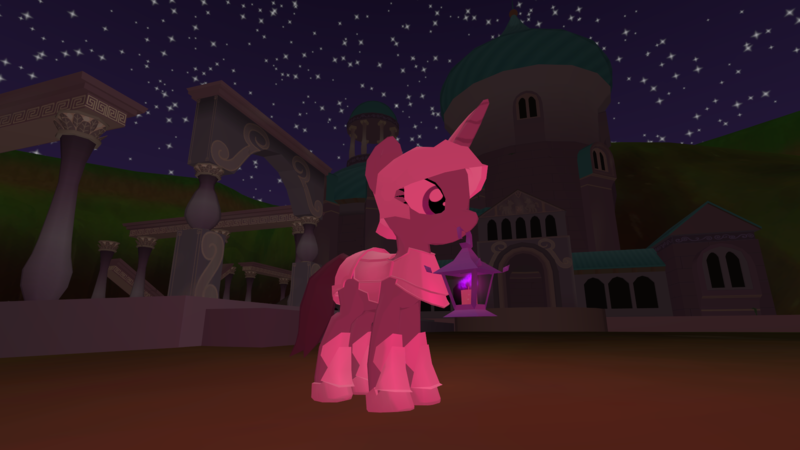 This is a moment five years in the making; Legends of Equestria is now available to play, permanently, for everyone! 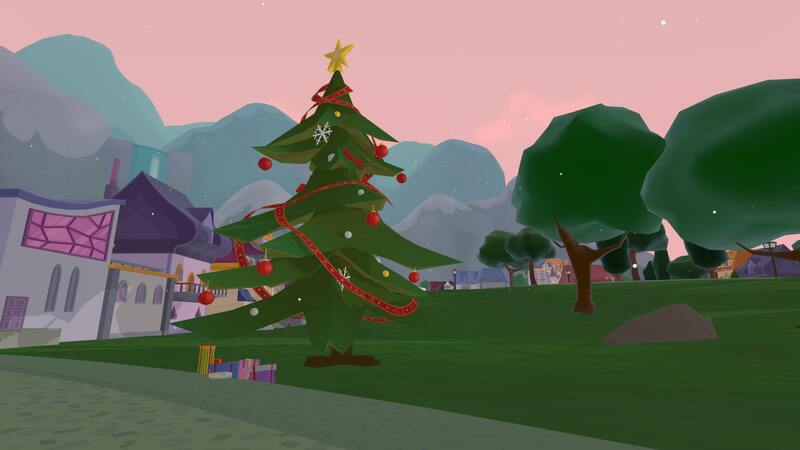 We've been working super hard all this time to bring the world of Equestria to life for you, and we really hope you enjoy this next stage of the journey with us. If you haven't already grabbed the game files, they're available from our downloads page. Bear in mind that while the launcher version of LoE will update itself when we make changes, other versions will not; you'll have to re-download the game files if you find yourself having trouble logging in after we update something. We'll be releasing launchers for the MacOS and Linux versions for the game as soon as we can! 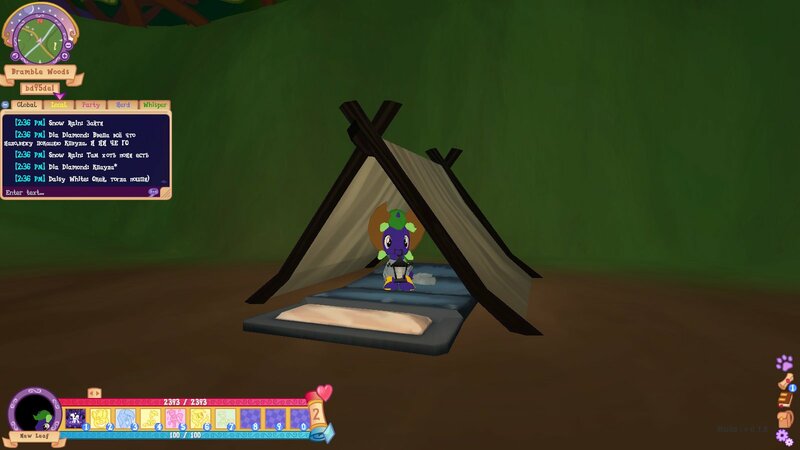 You'll need to unzip the downloaded files (through your OS using a program like WinZip, which you can find instructions on here), and then double-click the .exe file in there to start up the game! 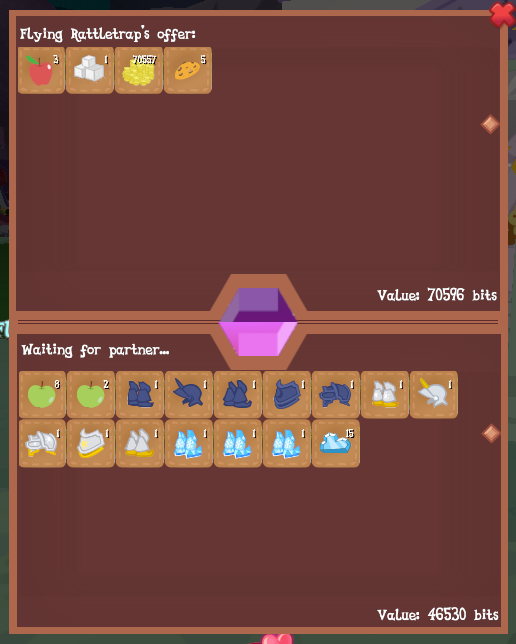 If you have any problems, please first try removing all LoE files from your computer & re-downloading them, as the download may have run into an issue, or we might've released an update you need to download from us directly! If you get stuck in-game, try using the /stuck command; for a full list of commands, type /help in the in-game chat! Our moderation team will be constantly monitoring the game, to ensure everypony's safety and comfort, and will be enforcing our rules. You can check them out here! 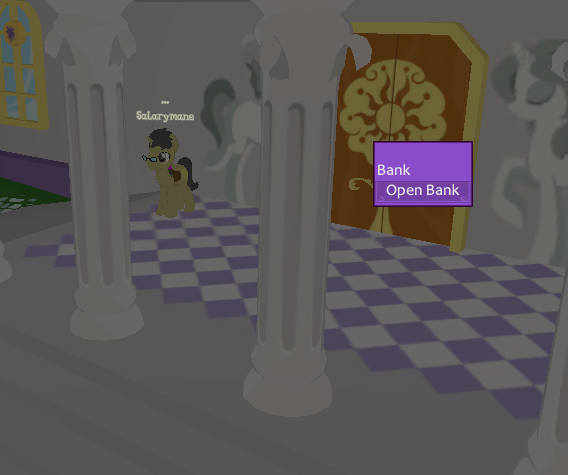 Please bear in mind that this isn't a finished product; the Open Access Release for Legends of Equestria is an ongoing work-in-progress. 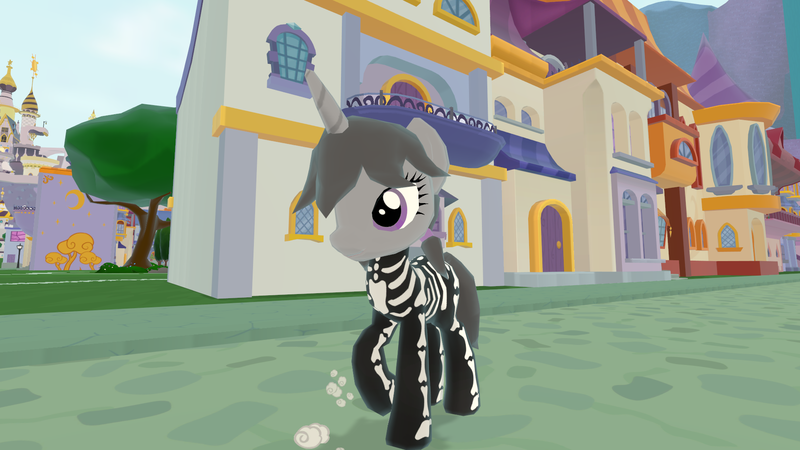 You'll likely encounter your share of bugs on your journey through Equestria, and we need you to let us know about them so that we can make the game better! You can read our bug report tutorial here. 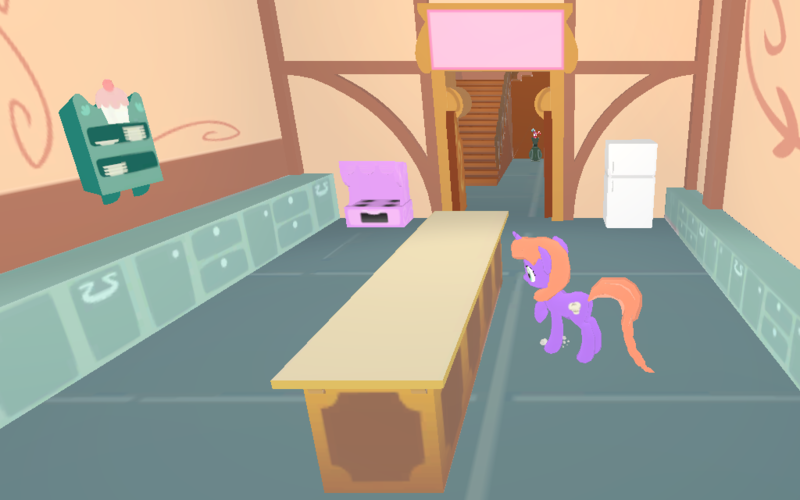 There's a lot of progress still to be made until we can happily call Legends of Equestria a finished game; we'll be playing right alongside you during the OAR, but we'll also be hard at work to keep making everything better, and adding new stuff for you to enjoy. Thanks so much for your support and love, everypony! 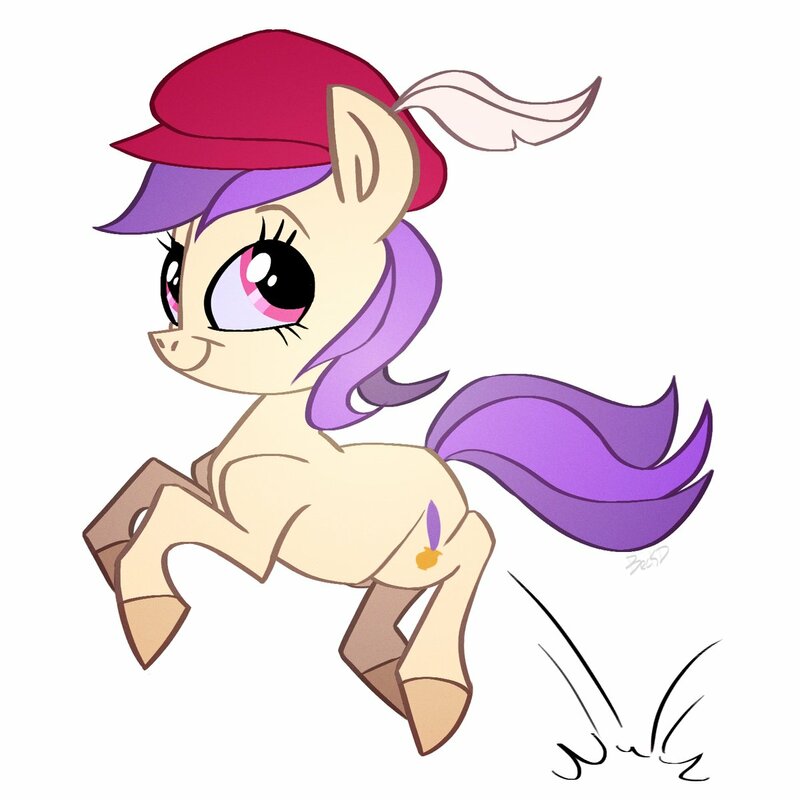 See you in Equestria! General News / Open Access Release Downloads Are Now Available! The downloads for our Open Access Release are now available from our website's downloads page, so you can grab your copy of the game files,and you'll be ready for when the servers open tomorrow (September 10) at 00:01 EST! Click here to download Legends of Equestria's Open Access Release! Please note: some browsers might not trust our downloads, and label them as potentially dangerous. As long as you're only getting them from our downloads page, they should be safe to run, but be careful that you don't download files claiming to be LoE from anywhere else; we can't guarantee that they're safe! If you have trouble downloading the files, try searching for instructions on how to unblock downloads with your internet browser. In addition, your operating system or antivirus software might also think LoE files are a risk. You may have to tell it to let the program run; again, try searching online for instructions on how to do this, depending on your operating system/security software! 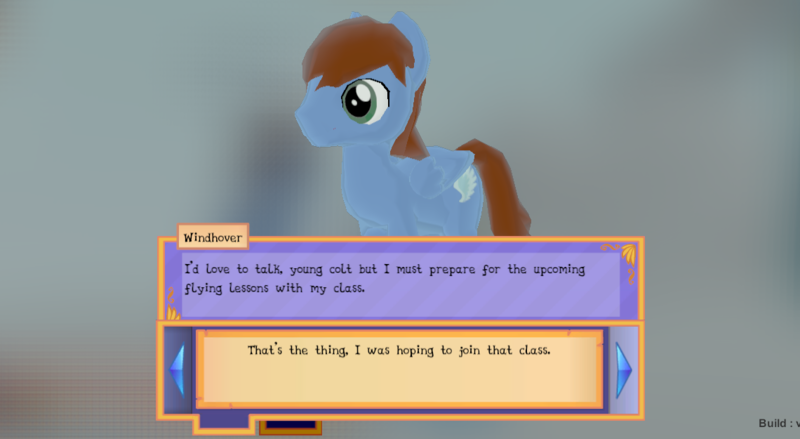 Legends of Equestria is designed for Windows, MacOS, and Linux computers. 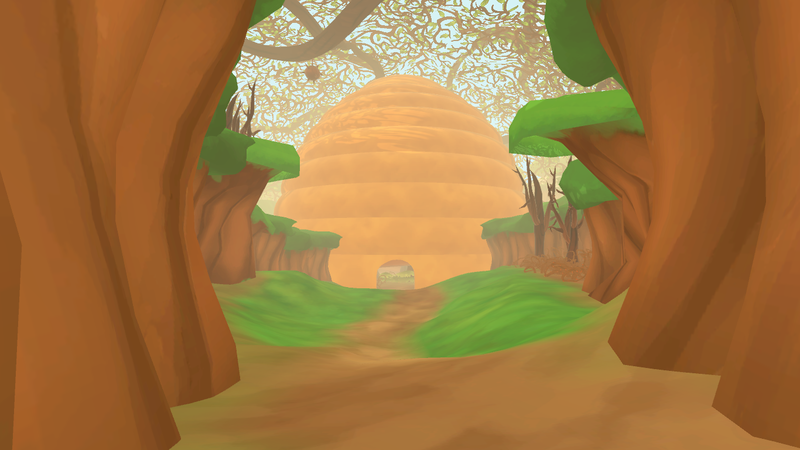 To check if your computer will be able to run LoE, take a look at the details on our FAQ page! We can't thank you all enough for following and supporting us on this journey so far, but remember, the Open Access Release is just the first step we'll be taking together! 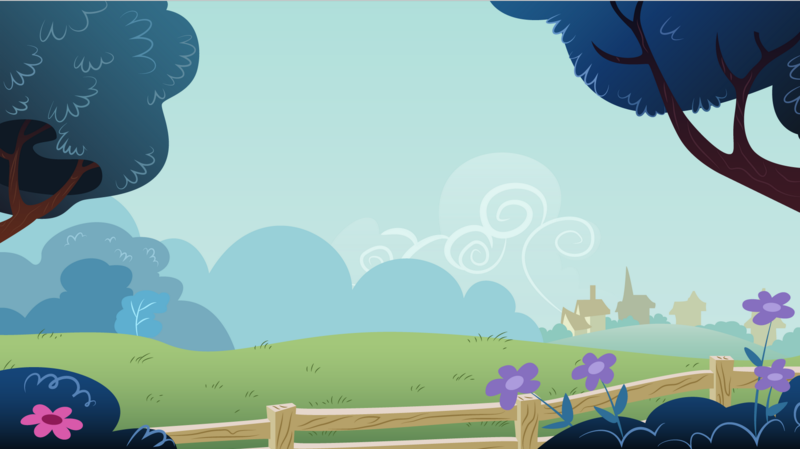 There's a lot more to come, so we hope you're all ready to explore Equestria together with us! General News / Open Access Release: Last Details & Changelog! We're just a couple of days away from our Open Access Release starting! 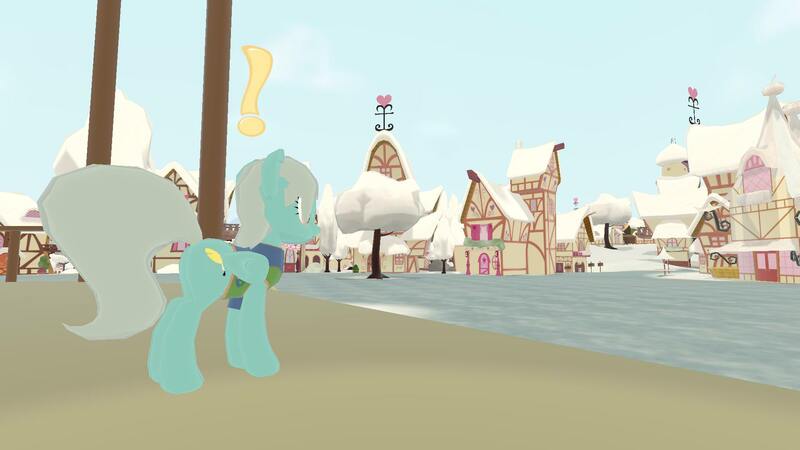 We hope you're all as excited as we are to explore Equestria together! Before Sunday rolls around, though, we just want to go over a few things with you regarding the OAR, so that everypony starts off on the right hoof! 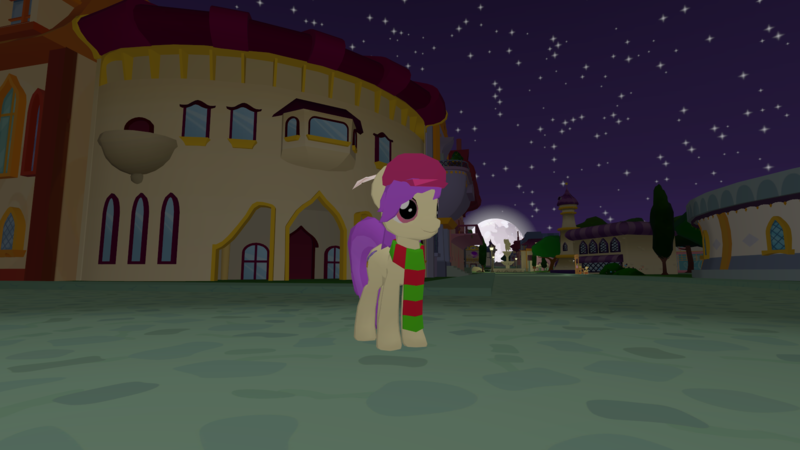 The first thing we want to reiterate is that this is not the final release of Legends of Equestria. 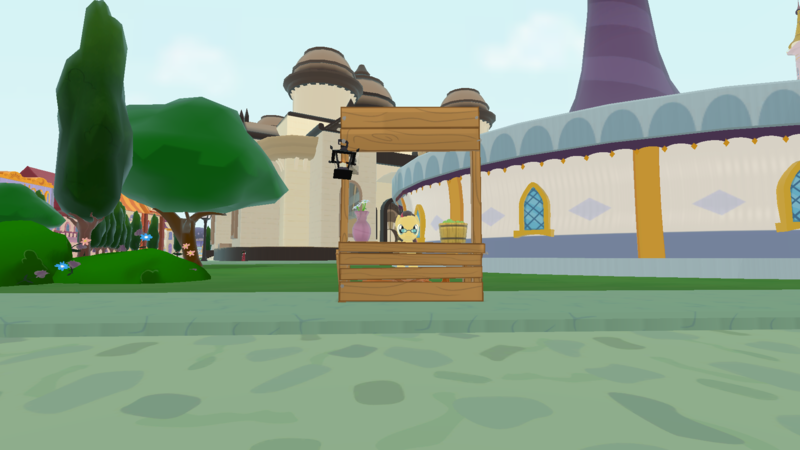 Think of the Open Access Release as a 'beta' release of LoE; we'll still be working hard on the game for a long time to come, but we're confident that what we have so far is enough for everypony to enjoy now, rather than have you wait any longer! For the Open Access Release, our servers will be opening at 00:01 EST, Sunday 10 September. That's the earliest you'll be able to access and play the game! We will, however, make the game files available to download 24 hours in advance. 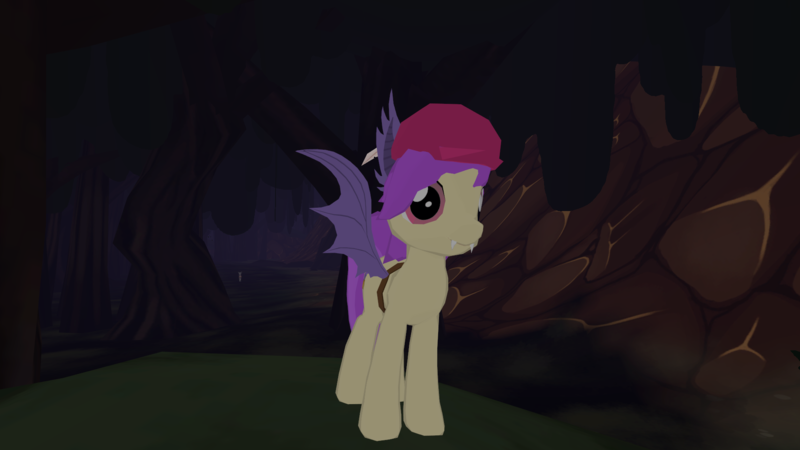 At 00:01 EST, Saturday 9 September, you will be able to download Legends of Equestria from our website's downloads page, where there will be separate versions for Windows, MacOS, and Linux computers. For more information on our system requirements, check out our FAQ page! Be aware that, like all server-based games, there may be some difficulty serving all the requests that come in the moment the game becomes available. We've worked hard to try and mitigate the effect of all those simultaneous requests, but we can't guarantee that there won't be problems for the first couple of hours or so. If you'd rather wait a little while before trying to play, you should be able to avoid those issues! Of course, since this is an Open Access Release, we don't expect everything to be flawless. We know that no matter how hard we - or our Limited Access Release players! - have tried, there'll always be a few bugs that sneak by. Luckily, we have a bug reporting system especially designed so that you can let us know about any problems you run into! You can find all the details of how to use Phabricator to tell us all about them here! So, what's changed between our last public event, and the Open Access Release? Well, we've prepared a little changelog to let you know! This doesn't cover everything - there's some more stuff that's more back-end, and also some details that we hope you'll find out yourself - but it includes a lot of the stuff you're most likely to notice. Check it out here ! You might also notice a few things missing from the list there that we have previously talked about; most notably, the Ancient Athamanes dungeon. 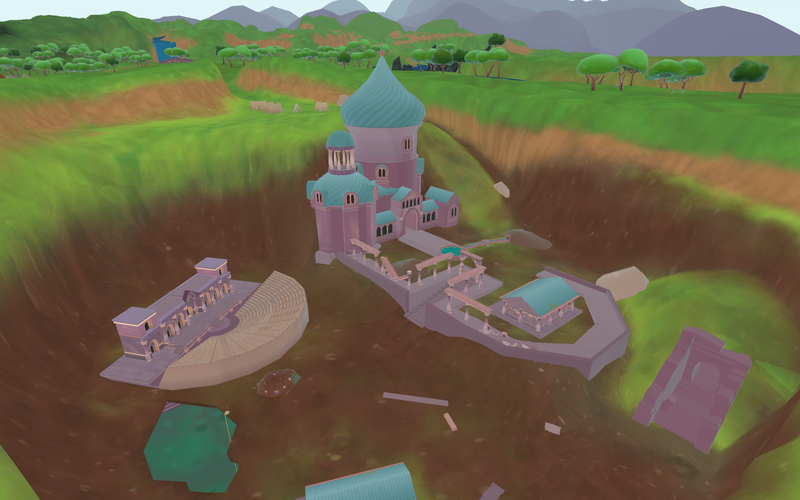 This is something we really worked hard on getting ready for the Open Access Release, and we're making good progress on it; however, the damage caused by the July cyberattack to both the game itself and also our schedules, has meant that we won't be able to have that dungeon in a playable state by Sunday. We're still working on it, though, and we anticipate it being ready to implement within the coming days and weeks! This is by no means the only stuff we're working on, just the things we hope to have ready soonest. It's super hard to tell when any individual thing will be ready, due to the nature of the project, but rest assured that we're working hard on these things - and so much more! We've been working on Legends of Equestria for five years already, and we don't anticipate stopping any time soon, so hopefully there'll always be something to look forward to! 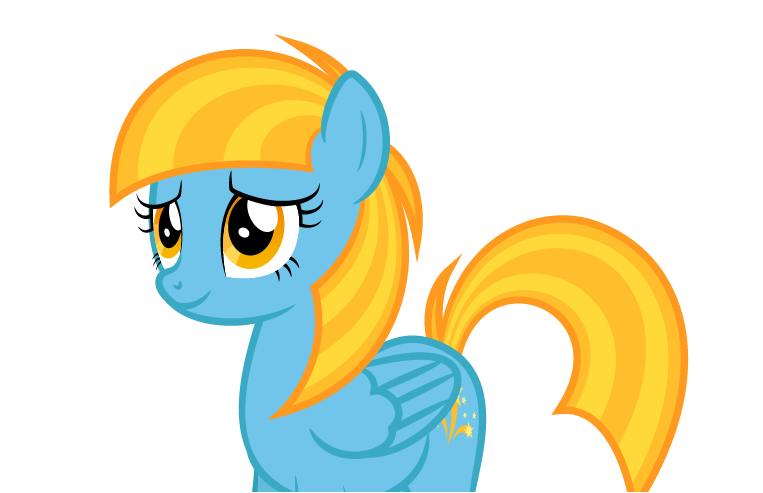 Thanks for reading all of this, everypony! We hope you're all looking forward to Sunday as much as we are! 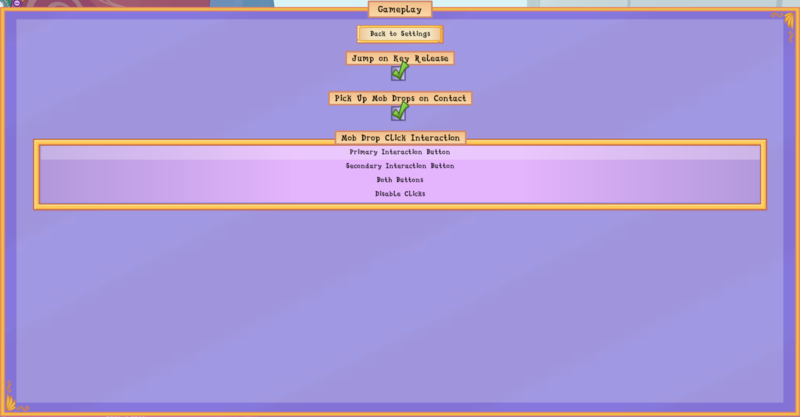 Legends of Equestria Discussion / [Tutorial] How to Use Our Bug & Suggestion Report System! Now that the Open Access Release is live, you'll need to know how to report a bug on our new system, Phabricator! To report issues with, or make suggestions about, Legends of Equestria, please follow the steps below. Step 3) Make a short title, a concise description of the bug or suggestion. Step 4) In the description box, first fill out first what the bug/error or suggestion is, then fill out the steps you took that caused the bug, so we can repeat them to replicate it; and finally, include screenshots/pictures/video of the bug to help us find it. Please make sure to submit each bug or suggestion on separate tickets. For example, if you encounter two quests that have issues, don't add them both to the same ticket; please submit two different reports, one for each quest. We assign individual tickets to team members based on their area of expertise, so this makes sure we don't get confused or overlook any problems! If you report bugs anywhere else, we may ask you to submit them this way instead; this is the best way to keep everything recorded, so that the relevant team members will be able to check the bug list and work on fixing them in their own time. Note: please do not send bug reports via email to a member of the team, to our social media accounts, or post them in response to this topic. All bug reports should be made through the system explained above, to make sure the right people on the team see them, and get to work fixing them! 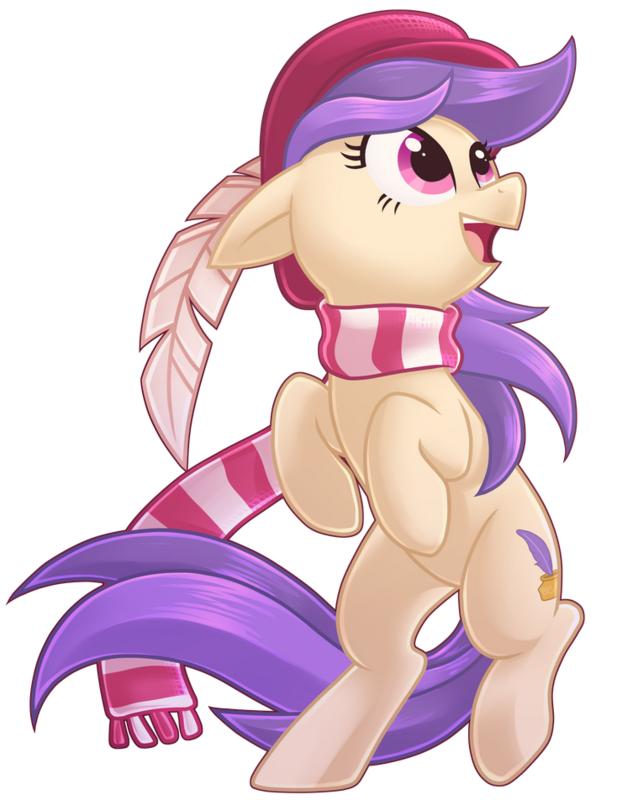 Hope everypony's ready for a big ol' changelog! There's a whole bunch more little tweaks here and there, in the back-end of things, to hopefully improve performance and your experience! 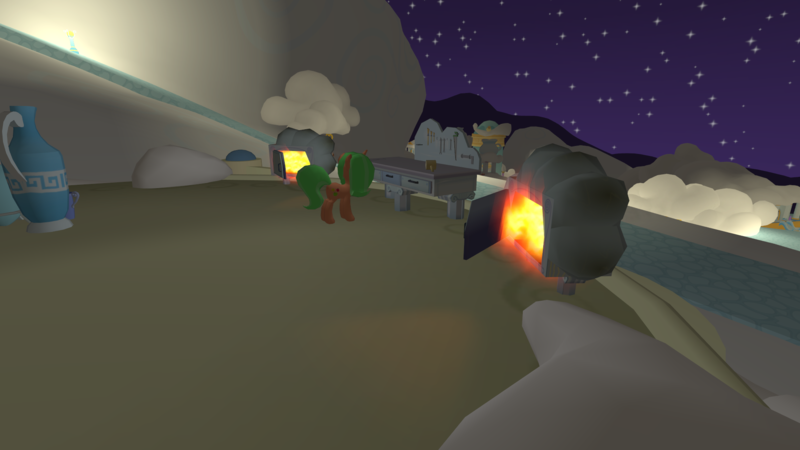 General News / LoE Open Access Release Environment Highlights Trailer! 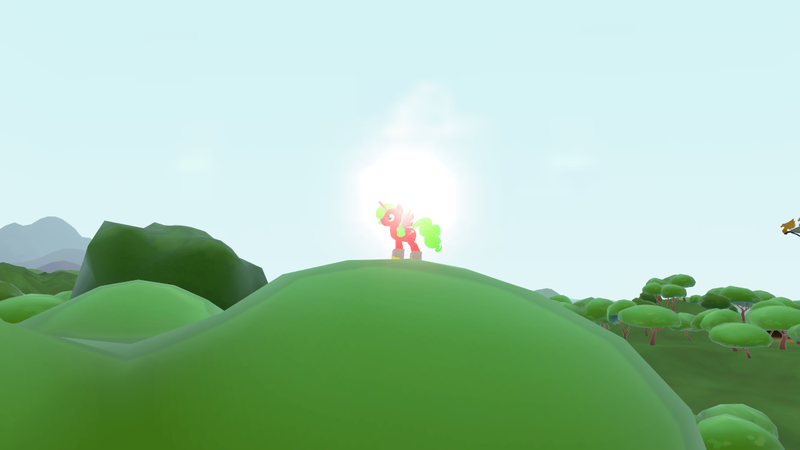 We've been working non-stop to make sure the world of Equestria is wide and wonderful for you on September 10, when our Open Access Release begins; and to highlight that work, we've made a new trailer to show off some of our major locations! 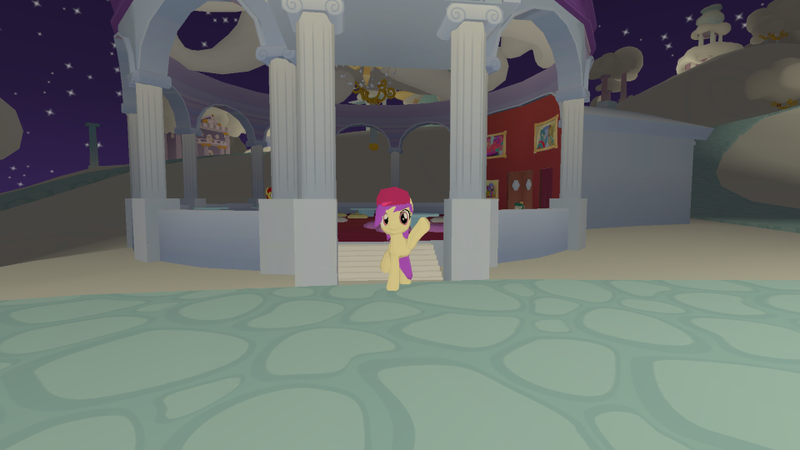 Remember, Legends of Equestria is still in development, so these locations are by no means final, or the only ones you'll be able to enjoy during our Open Access period (and beyond, of course)! With our Open Access Release starting September 10, we've created another trailer to highlight an important aspect of the game! 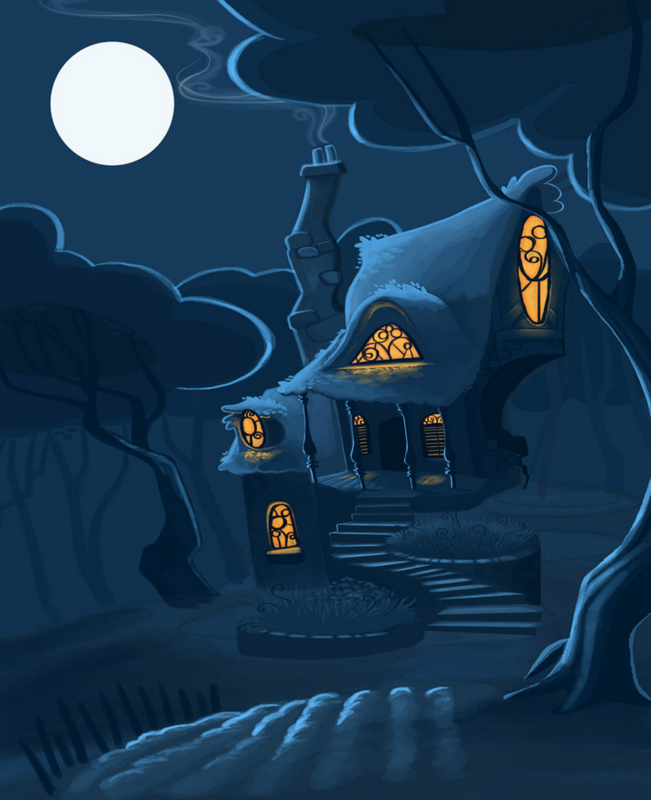 There'll be plenty to do and see in Equestria, but you won't be able to do it all alone! For some adventures, you'll need to work together with friends - the ones you already have, or the new ones you'll be able to make! Please note, this trailer was produced using LoE's lower graphics settings. We want to ensure LoE is accessible to as many people as possible, even if they don't have access to high-end computer hardware. If you have the horsepower (pun intended) to run higher graphical quality settings, LoE might look pretty different; some better video settings were used for our previous trailer, here! 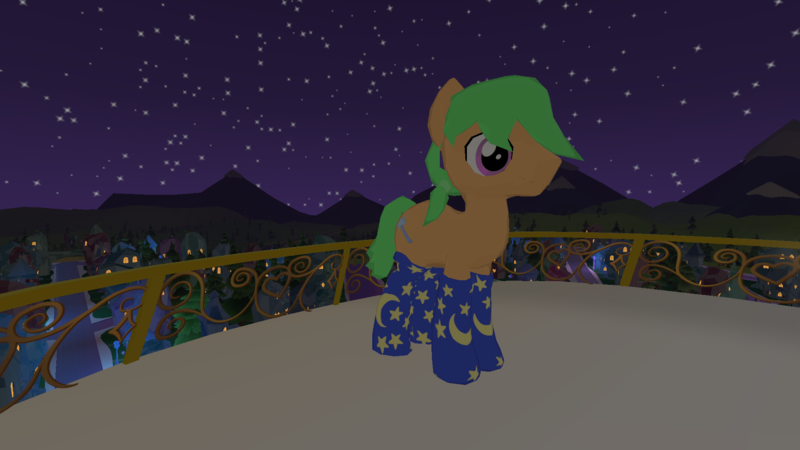 General News / LoE Interview Round-up: TwoCredits Column and EquestriaAmino Livestream! 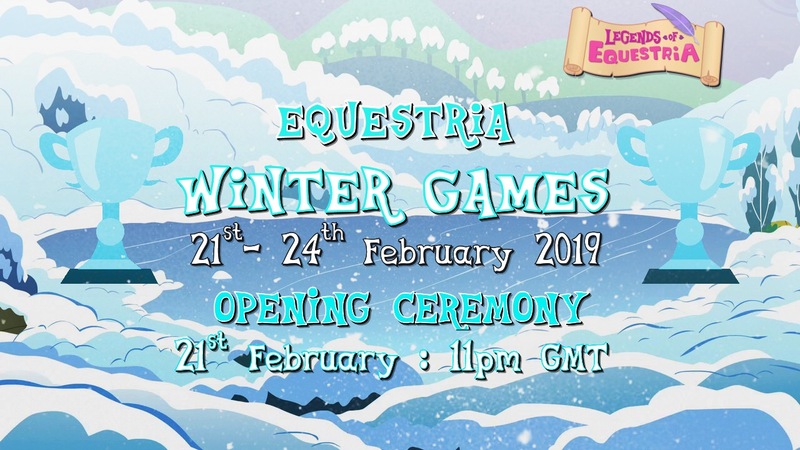 We're all hard at work getting everything ready for September 10, but while we're working we've managed to find the time to do a couple of interviews about Legends of Equestria! The first one is actually a teenie bit old, but what with crunching on the game, and some... other events... it kinda just slipped through the cracks, so we're getting to it now! 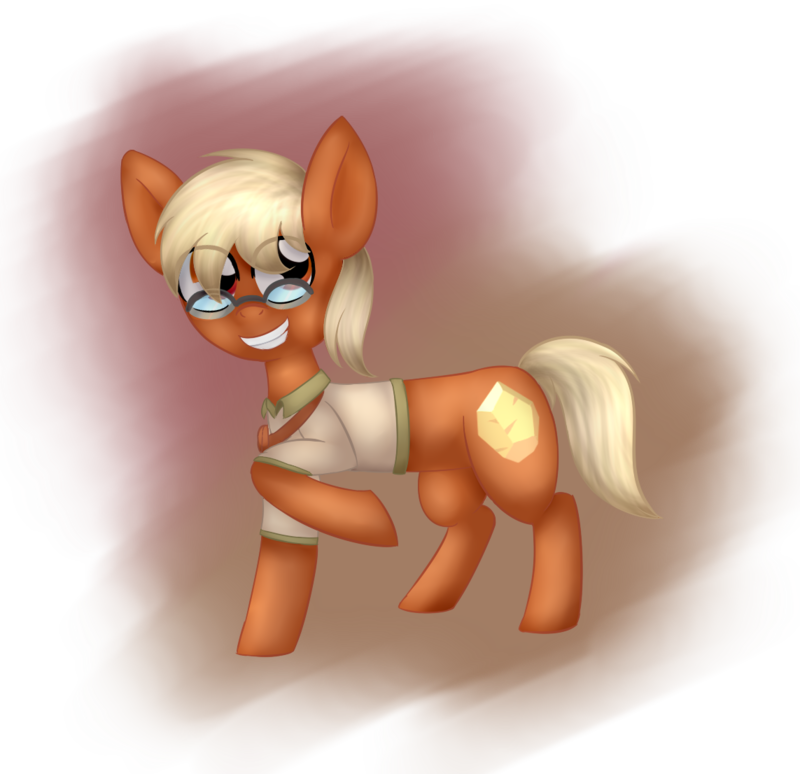 Click below to watch a livestreamed interview with InvisiBrony of Equestria Amino; we cover a lot of detail in the hour or so of interview, so it's a good place to find out more from the people behind the project! That's everything for now! We've got a lot more work to do, and plenty planned to show you over the coming weeks, so you should definitely keep an eye out for more! 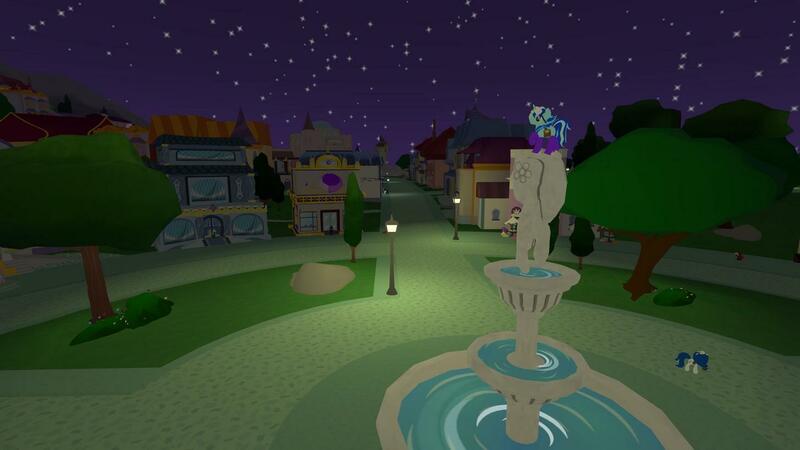 We can't wait to explore Equestria with all of you in September! 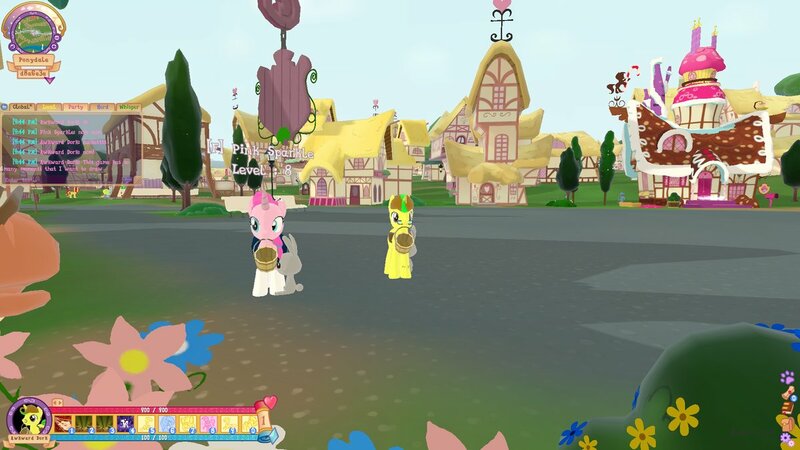 General News / The LoE Forum is Back! Hey, everypony! It's been a little while, huh? If you can cast your mind back all the way to July 5, you'll remember that we suffered a cyberattack that hit one of our databases. That attacker gained access to records like usernames, email addresses, and password hashes for all accounts registered with LoE - both team members, and the general public. Because of that attack, we had to immediately shut down the forum - and production on the game - until we were able to guarantee the safety of everyone. We still believe that the attacker was focused on targeting our team members specifically, but that doesn't change that they would have had access to everyone else's details too. That's why we continue to advise you to change your password on any website or service that had the same password as your LoE account. We've now finished this stage of updating our security systems; that's why the forum is back! We're still looking into what more we can do, but we're confident in the steps we've taken so far. Part of those steps we've taken will require you to set a new password for your LoE account if you have one, though. On the login page, you'll need to click "forgot your password?" and follow those steps to send an email to your registered email address which will allow you to set a new, stronger password. Another step we've taken is to remove the chatbox from the forum. It was old and outdated, and served as a possible attack point against us. We don't want to leave you with nothing, though, so we've set up a Discord server as an improved replacement! It has the same features and more, is safer for everyone, and is a better way to communicate. You can join by clicking here (note that you'll need a Discord account!). Taptalk is also disabled for the time being, but we have taken the opportunity to update our forum systems - including making it more mobile-friendly. Hopefully the forum will not only be safer, but also better to use! Everything else - all the threads, posts, and account details - should be exactly where you left them; but if you notice anything missing, or any other issues, please let us know as soon as possible! Because of the delay and damage caused by the attack, we've obviously missed our intended August 19 target for the LoE Open Access Release. Our new OAR date is September 10, and we're working extra hard to make sure we're able to include everything we wanted into that release. 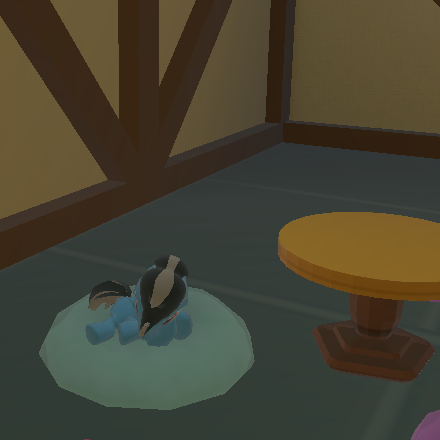 Remember, in order to be able to play LoE on that date, you'll need to have a working forum account; that means that you will need to update your password if you have one already, or create one if you don't. Once again, we apologise for the security breach, but we're confident that the steps we have taken will help to safeguard us from similar attempts in the future - and we still look forward to exploring the world of Equestria with all of you on September 10! Expect more details about our Open Access Release to come over the next few weeks! General News / Legends of Equestria Open Access Release: All The Details! It's been a pretty big few days for us; we just announced our Open Access Release, starting September 10, 2017; that doesn't mean we can rest, though! We've still got a lot of work to do before we reach that day - and beyond. We thought you all deserved a little more information about the Open Access Release (or OAR for short; aren't acronyms great? ), so this post will hopefully give you all the details we can share right now! First off, what do we mean by 'Open Access Release'? Well, put simply, we see this as the next logical step after our Limited Access Release (LAR), which kicked off in December 2016; since then, we've had our game servers permanently online, and available for a select group of players that we hand-picked to help us iron out all the bugs they could find, and provide feedback on the game. What we're basically going to do is open up access to the servers for everyone - so, as long as you have a computer that can run LoE, and an internet connection, you'll be able to make an account and play! Speaking of being able to run LoE, our system requirements are fairly low; we're looking at 2GB of RAM, a 2GHz Dual-Core processor, a graphics card with 256mb VRAM and support for DirectX9.0c/OpenGL2.0, and around 3.5GB of storage space. Basically, if your computer was bought around 2010 or later, it shouldn't have a problem running the game. 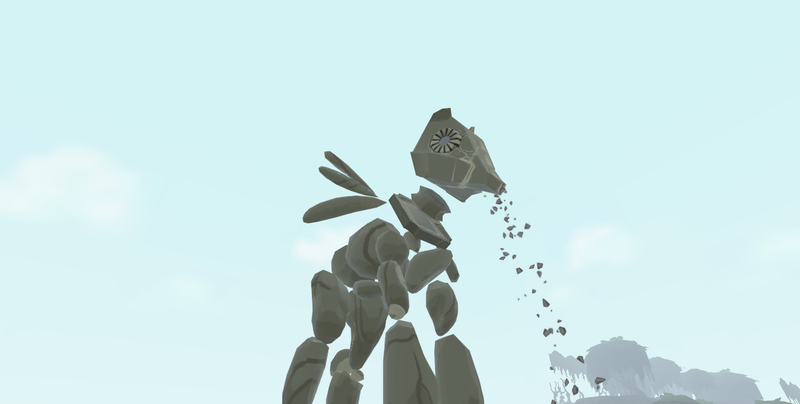 We're developing LoE for Windows (Vista or later), MacOS (10.9 'Mavericks' or later), and Linux computers, and will be releasing the game via the 'downloads' page of our website; other operating systems or platforms aren't currently being considered, but it's possible that in the future, it might be an option we look into. These requirements are subject to change, though; it's important to remember that this isn't the 'final release' version of LoE. We still have an awful lot of stuff planned for the game; a boatload of new quests, zones, abilities, Talent Marks, characters, and more, is all planned. 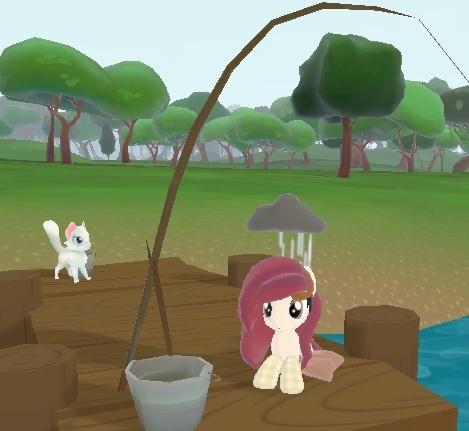 That's not to say that the September OAR version of the game will be empty; there'll still be plenty for everypony to do and enjoy - but we have so much more planned. We're calling this an 'Open Access' release for a very good reason; LoE isn't finished, but we're in a position where we've got enough ready that we're ready to make it available. Think along the lines of some of those 'early access' projects you might've seen in recent years, where the developer makes the game available while still actively working on it! 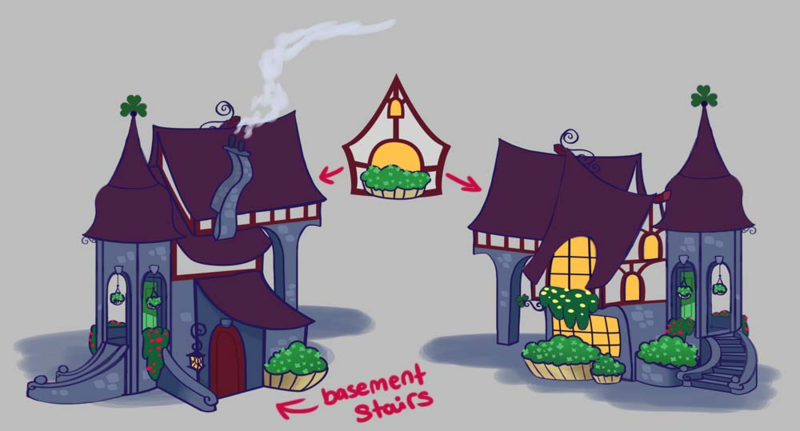 To give you a rough idea: we have three 'story arcs' planned for the main storyline of LoE. We're aiming to have the first arc implemented by September; that means we have all the material in mind for another two-thirds worth of game. So, what will you be able to expect in September? 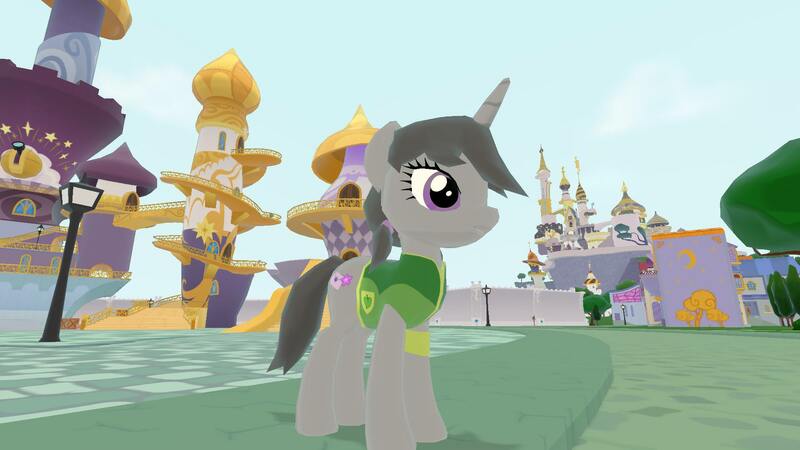 Well, you'll be able to start off your life in Equestria as a filly or colt from one of the three pony races (Earth, Pegasus, or Unicorn), and learn how to experience the world we've built, alongside a rich and varied cast of main and supporting characters. 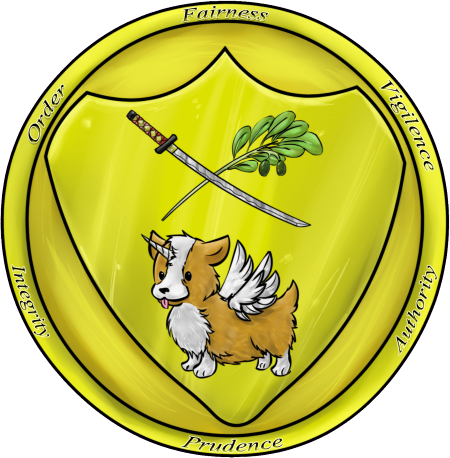 Through exploration and questing, you'll be able to acquire your Talent Mark, from six distinct branches of expertise: Animal Care, Healing, Partying, Magic, Combat, and Flying. 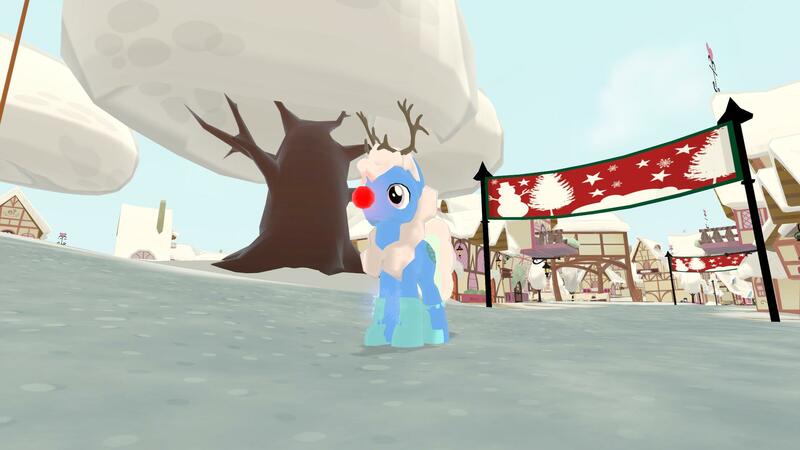 You will be able to guide your character to adulthood (or stay as a foal, if you prefer!). You'll then get to explore seven distinct 'zones' full of adventure and experiences. 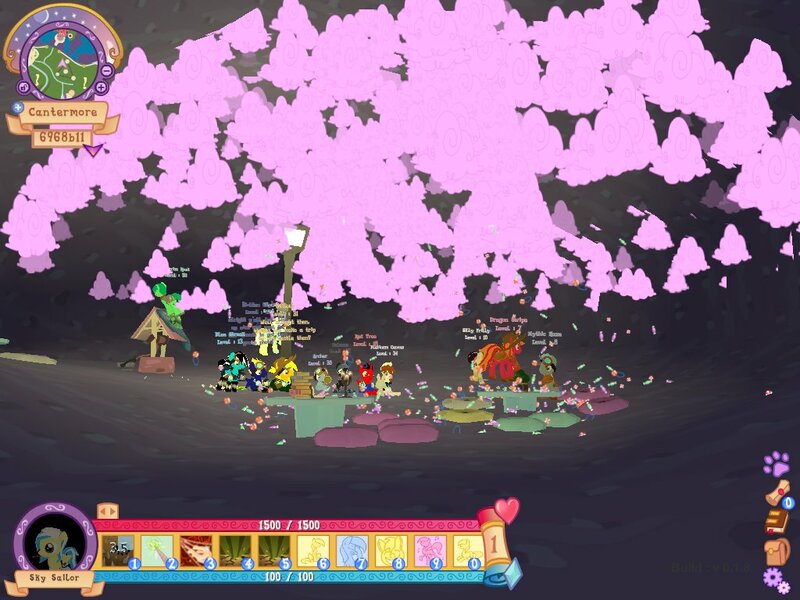 You'll be able to do all of this alone, or with friends - ones you started playing with, or ones that you make along the way - and form a Party or join a Herd with them to face numerous challenges together, such as Dungeons. 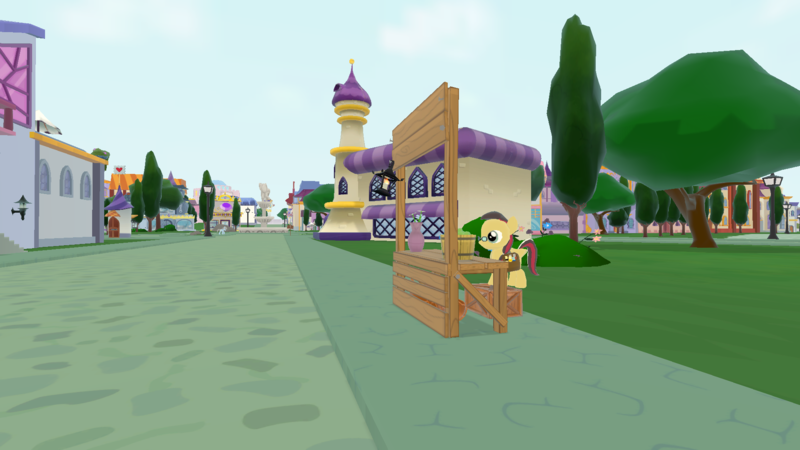 And everything you do, you will do it in a living online world, full of not only characters we've designed, with unique conversations, backstories, and tasks for you to complete - but also full of other players just like you, experiencing Equestria together. Our moderation team will be working hard to make sure it's a safe and enjoyable world for everyone, and we really hope you enjoy playing in it! We can't thank you all enough for all the patience and support you've shown us over the 5 years we've been developing Legends of Equestria, and we can't wait to take this next step forward with you all. We plan to keep releasing more information on everything that'll be available in the OAR in September, so please keep an eye out over the next few weeks! General News / Legends of Equestria Open Access Release: Trailer and Date Announcement! Hey there, everypony! We've got some big news to share with you today! 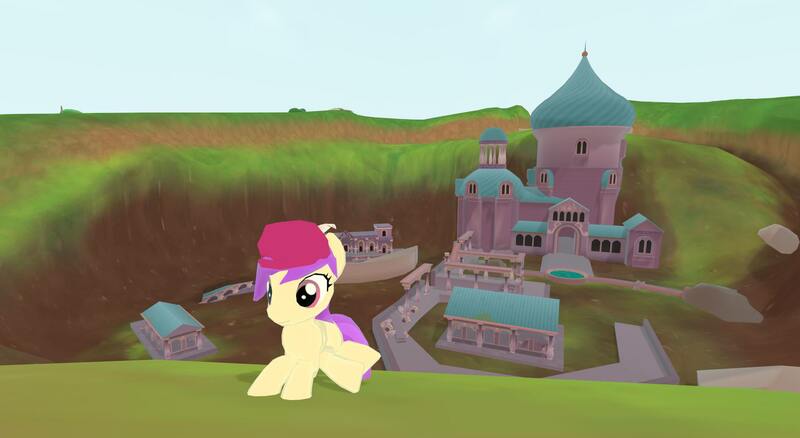 We've been working on Legends of Equestria for over five years now, trying to build the best world we can for you all to explore, socialise and adventure in, and most importantly, enjoy. It's been a long road, and an awful lot of work - but we're ready to take our next step. In December 2016, we launched our Limited Access Release, granting full and permanent game access to a small number of players hand-picked to help us test the game, give us feedback, and weed out those pesky bugs. Their help has been massive to us, and they deserve thanks for every single report they made. But the next step forward for us is to take that Limited Access Release... and turn it into an Open Access Release! What does that mean? Well, put simply, it means that the game will be fully available for everyone to play, permanently. 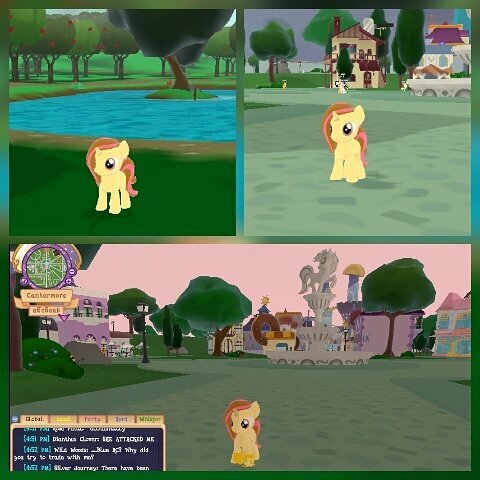 The game launcher will be made available to download, the servers will be online, and the doors will be wide open to let every pony in! 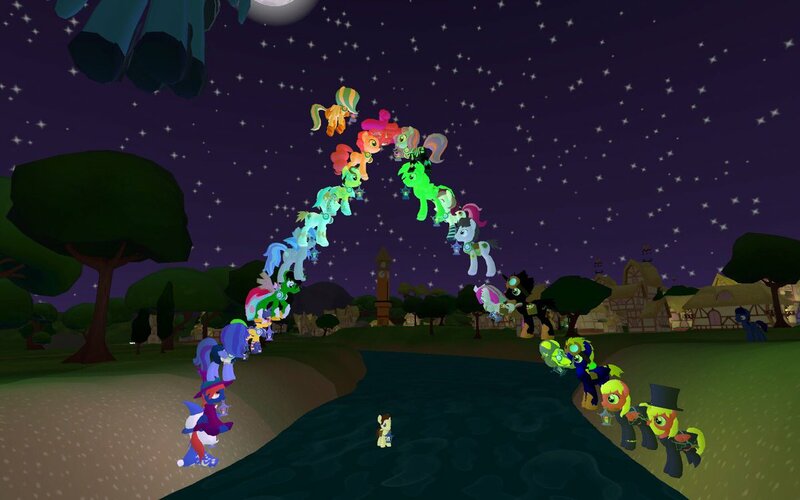 An important thing to note, though, is that this will not be the end of development for Legends of Equestria. We still have a huge amount of stuff we want to include in the game, from zones to storylines, and we intend to keep working on the project for a long time to come! Think of this release in the same vein as other 'open access' projects, where a substantial amount of the game is available to play, but the team behind it is still working on loads of stuff to add! We'll be able to discuss in a little while exactly what you can expect from our Open Access Release, but for now, here's a quick trailer for you, featuring the date that our Open Access Release will begin! So, a quick recap: Legends of Equestria will be available to play, permanently and free for everyone, starting with our Open Access Release on August 19, 2017. We're really proud of everyone who has contributed to this project, and that we've managed to reach this incredible milestone; as an entirely volunteer team, donating our time and energy for free, creating an MMO like this is a gargantuan task. We've still got a lot we want to do, though, so we thank you for your patience so far, and we hope to see you in Equestria soon! 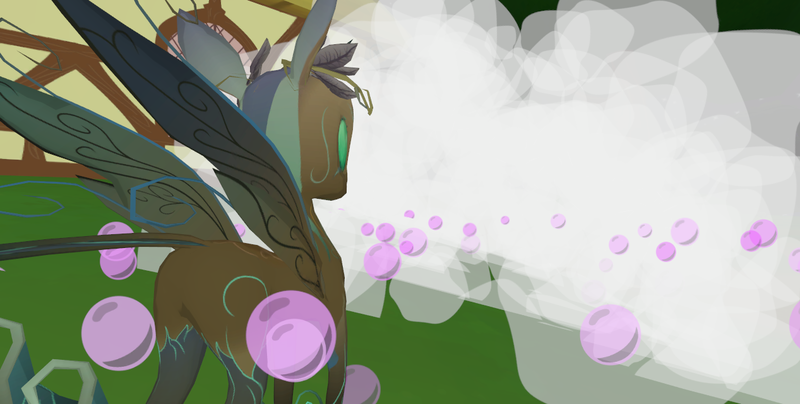 General News / Legends of Equestria is Looking for VFX Artists! It takes a lot of people with a whole bunch of diverse skills to build something as huge as the world of Equestria, and we're always on the lookout for talent in various teams - but one area we're particularly interested in at the moment is visual effects, for our VFX team! What do we mean by that? 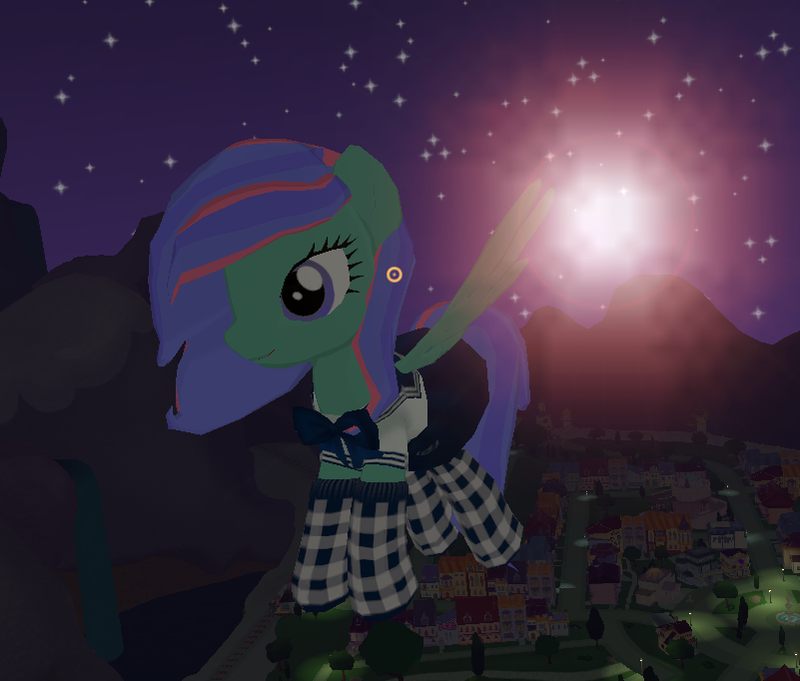 Well, visual effects are the little things that really make the world of Equestria feel real. When a player or enemy uses an ability and you see it happen; when there's a little effect to accompany an event in the game; that's what the VFX team creates. We're interested in hearing from anyone who has experience creating visual effects in Unity; for example, particle effects. If you also have experience working in a cartoonish style similar to the art style of LoE, then that's a major plus, but it isn't essential. 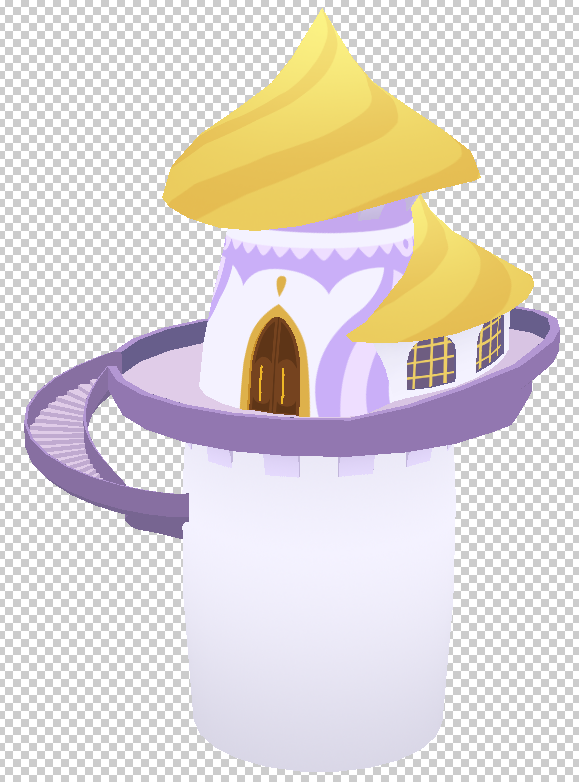 VFX Artists would be in charge of creating and implementing spritesheet elements to be used in all areas of the game; the little visual flairs that will really make the world of Equestria come to life. If you're interested in game development, want to contribute to the project, or are simply looking for a hobby that will put your talents to use, then we want to hear from you! 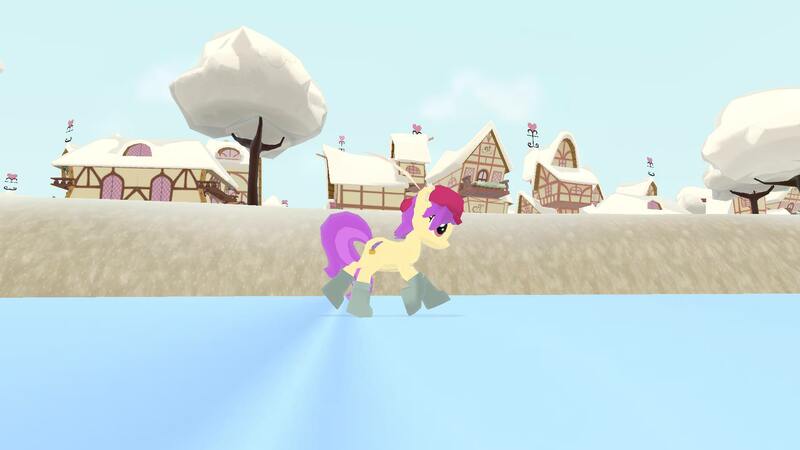 As a member of the VFX team, not only would you be helping to bring Legends of Equestria to life, but you'd also get training and support from long-time team members with years of experience. Oh, and you'd become part of a pretty cool group of friends from around the world! If that sounds like the kind of thing you're interested in making, and you want to help us make the best horse game ever*, then please email [email protected] with links to examples of your work. Please remember, we do require that applicants be at least 16 years of age before joining the team. 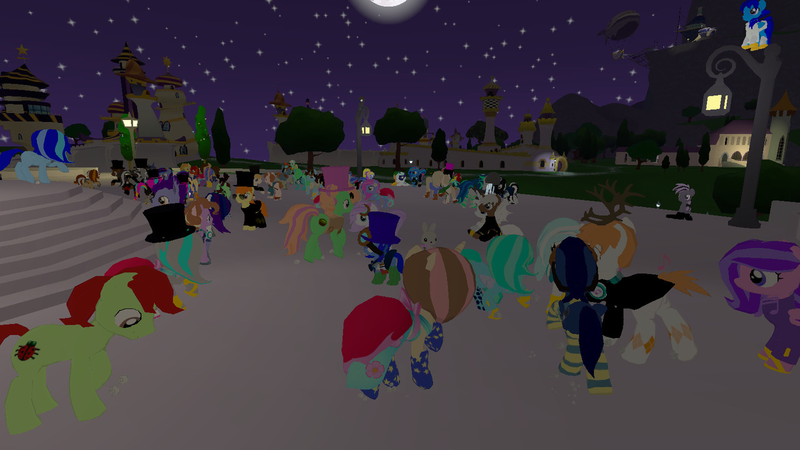 Legends of Equestria is a volunteer project, being developed by a large team of dedicated fans from around the world, giving their time, and energy, to bring an entire world together. Every member of every team is working purely out of passion for the project; this is not a paid position, and we cannot offer any financial incentive for your contributions. 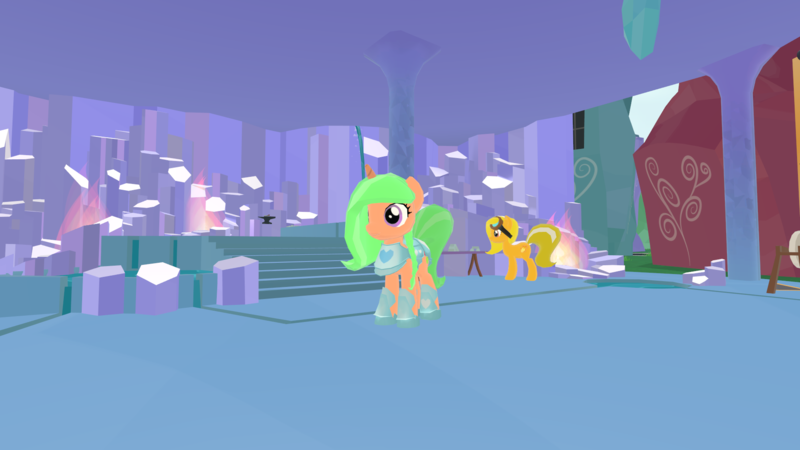 All we can guarantee is the warm fuzzy feeling from helping to create the world of Equestria, for all fans of ponies to enjoy. General News / [APRIL FOOLS!] 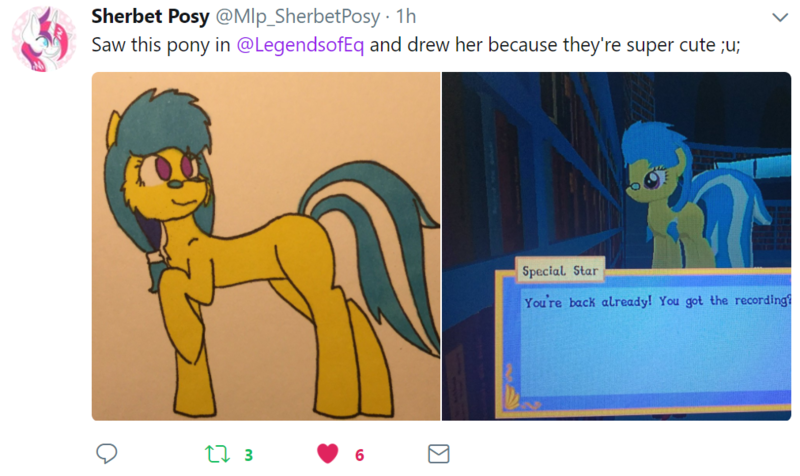 Legends of SOCKquestria! 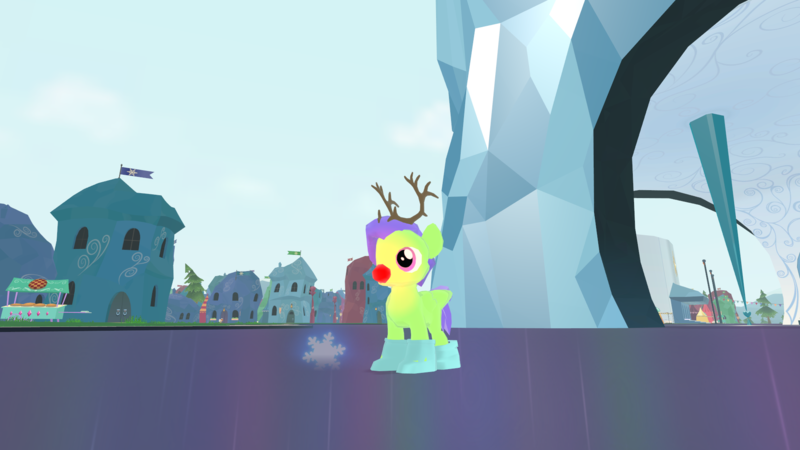 Legends of SOCKquestria is now available to download! 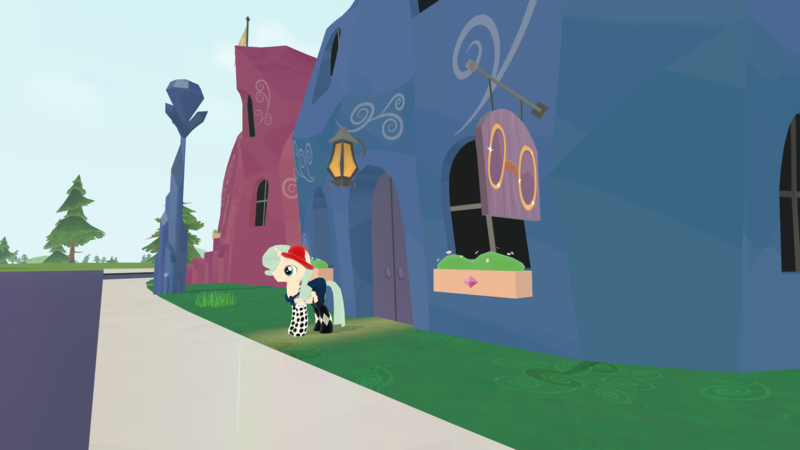 The long-awaited sock-based sidescrolling pony game is finally here! 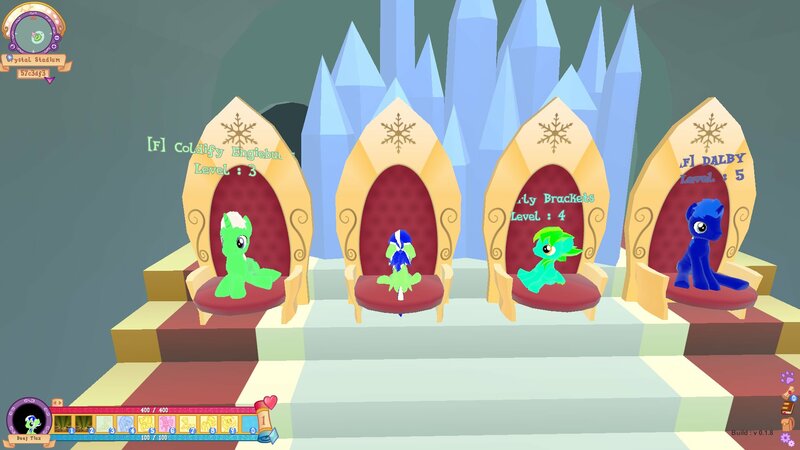 That's right, the one and only Legends of SOCKquestria is ready for everyone to enjoy! Well, everyone who can run a .exe file, anyway! 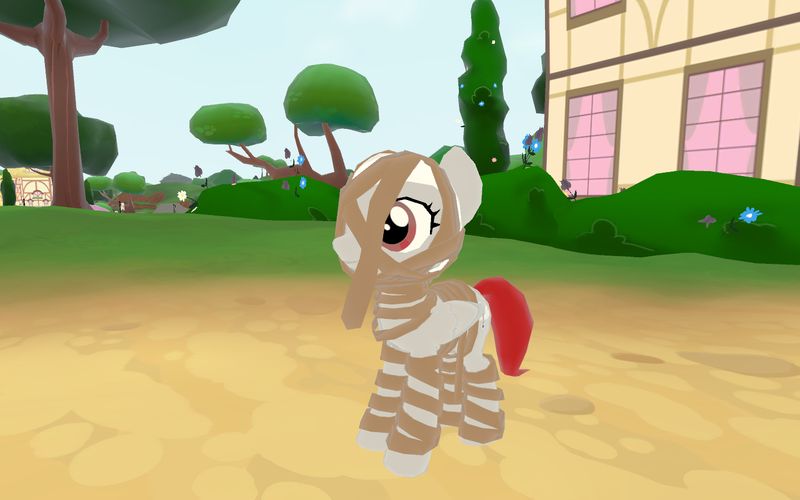 Click here to download your copy of Legends of SOCKquestria! Once it's downloaded, you just need to unzip the executable using any program able to unpack .zip archives; for example, WinRAR. After that, Legends of SOCKquestria is yours to enjoy! Our team has worked very hard getting this ready for today, and I think you'll all agree that the effort has really paid off! Please note: as usual, some web browsers, operating systems, and even antivirus systems may be sceptical of files from us; we're not really big enough for companies like that to recognise us! 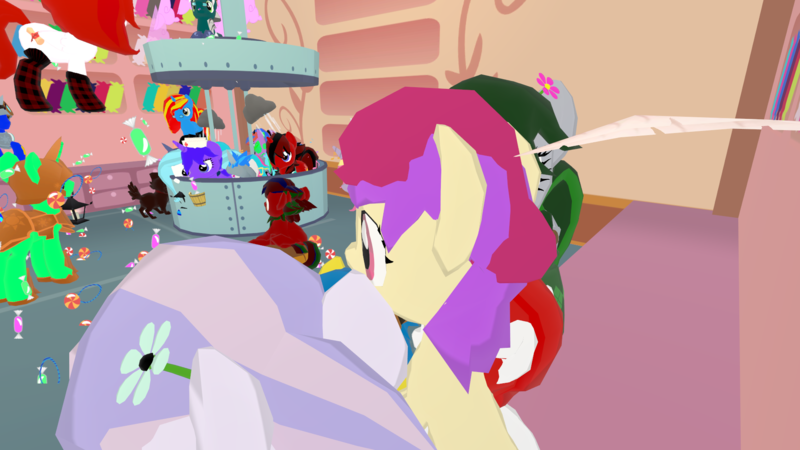 Just remember that so long as you're getting it directly from the link we provided, you'll know it's safe; it's the official download for Legends of SOCKquestria, after all! So, if you see a warning like that, but you still want to experience this amazing game, remember to mark it as safe!